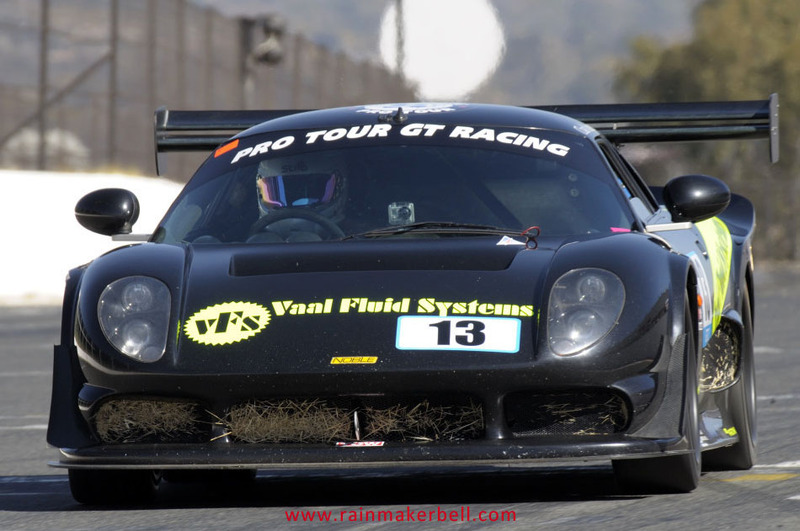 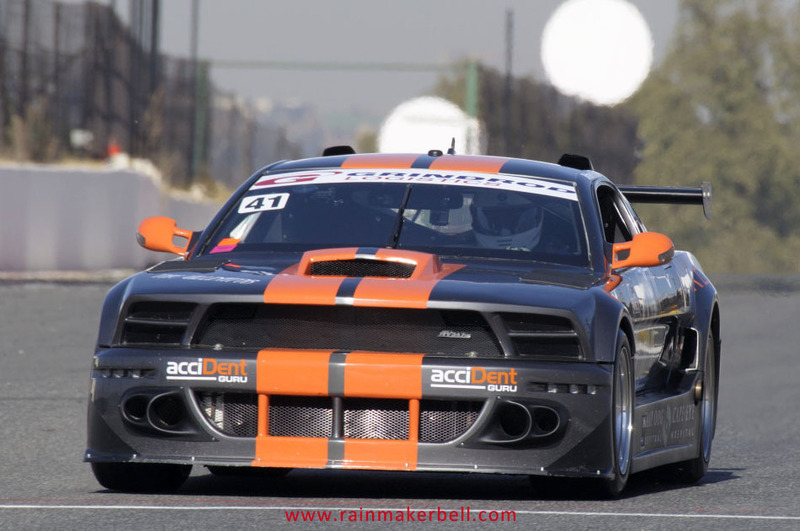 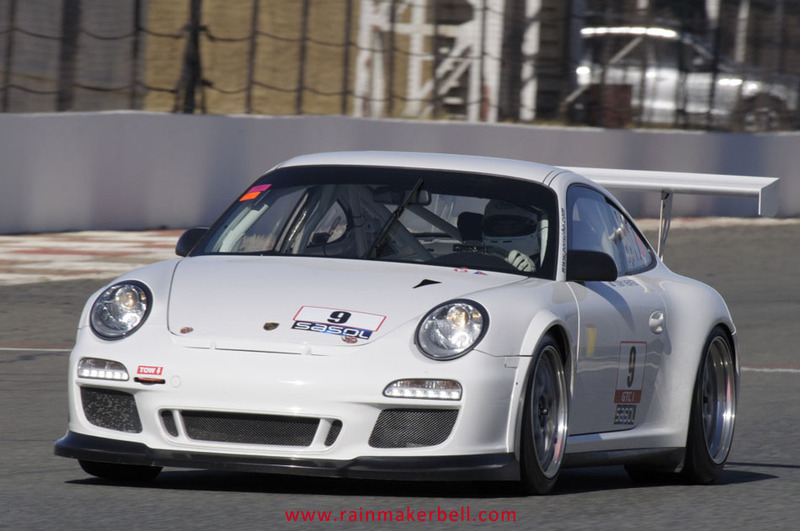 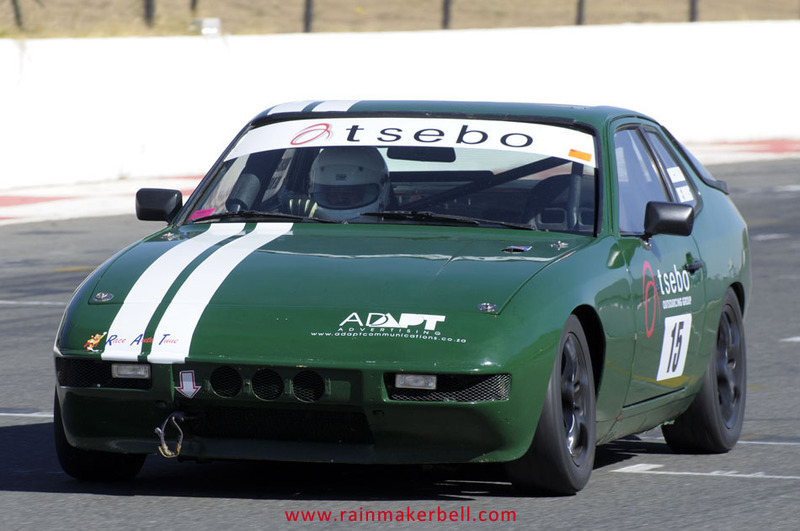 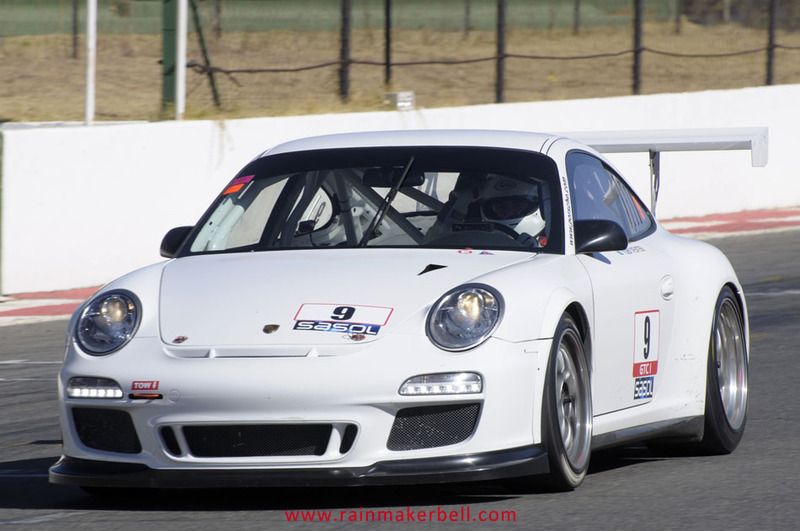 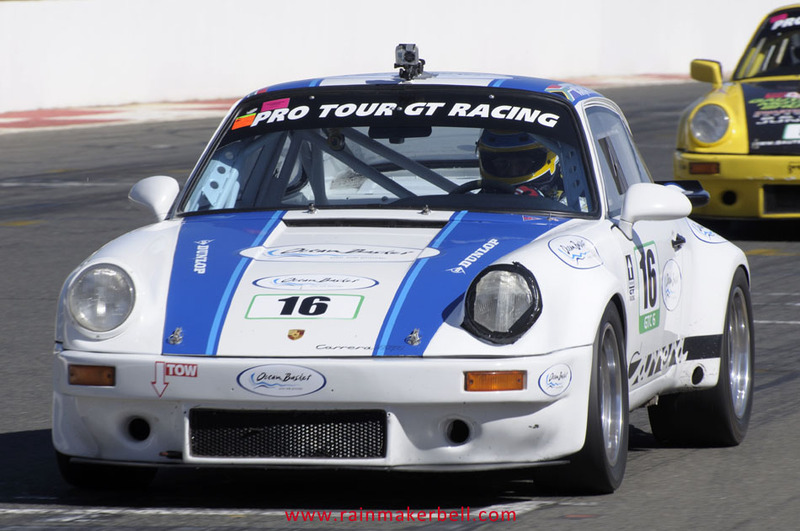 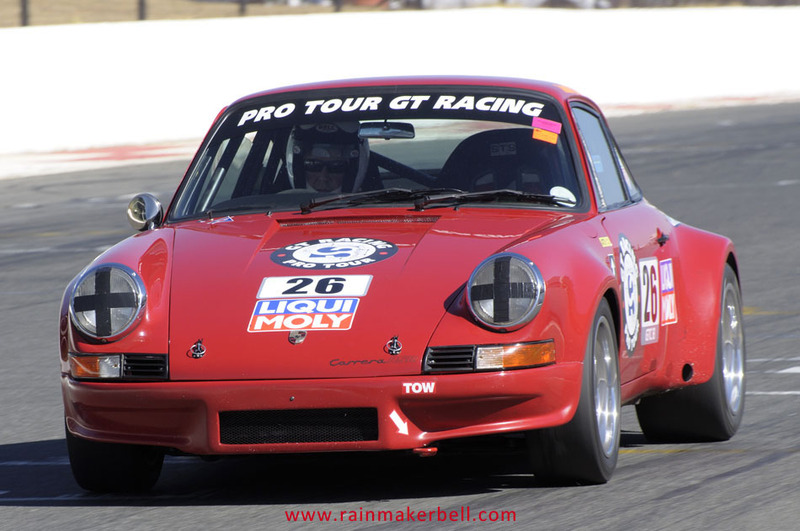 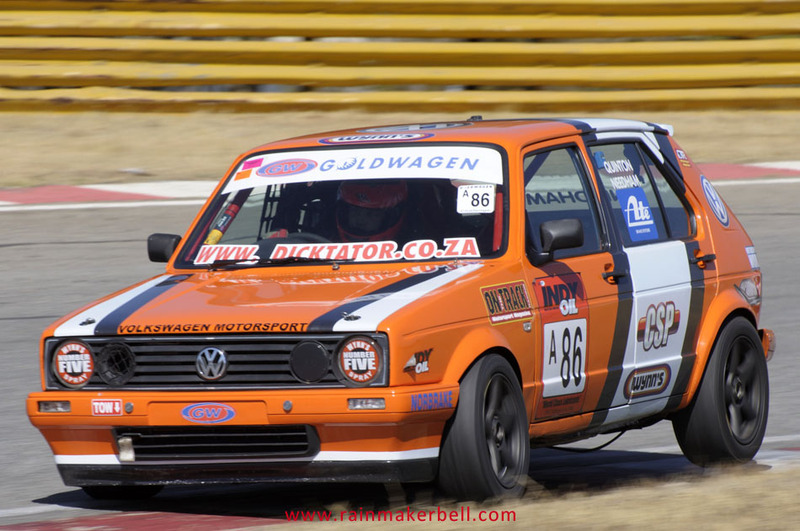 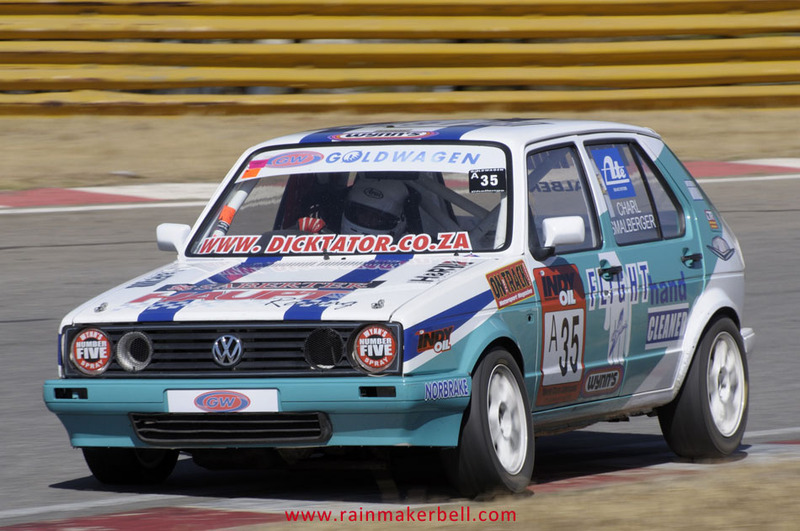 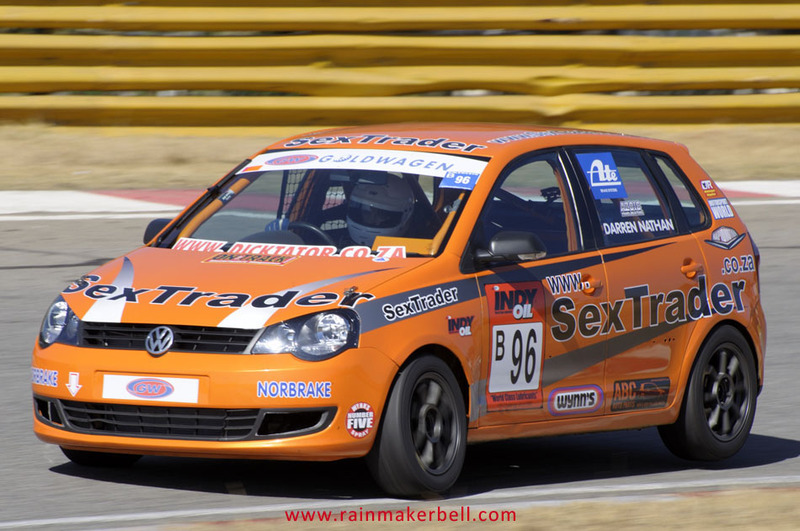 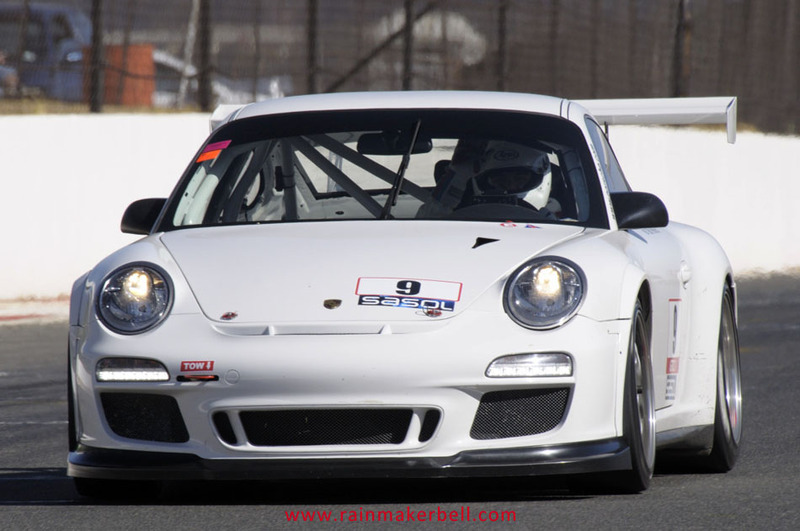 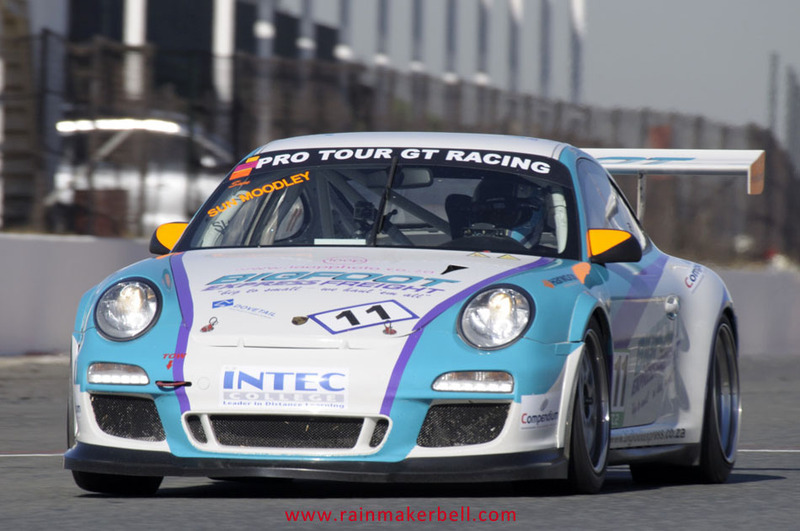 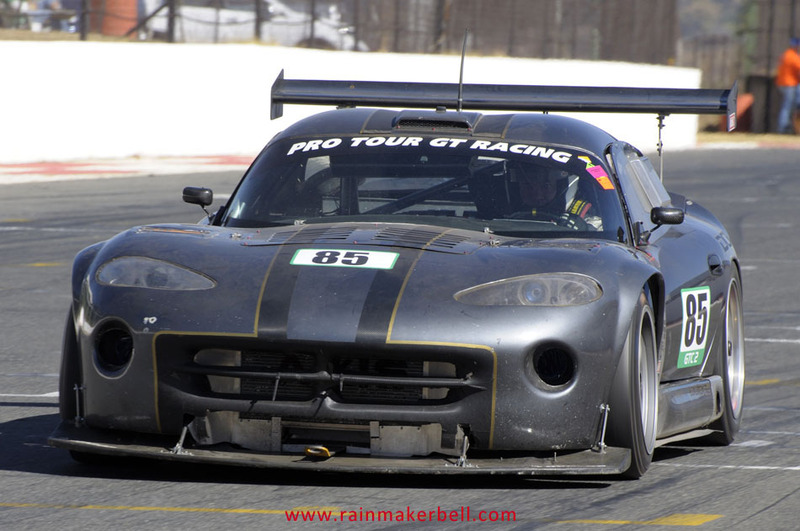 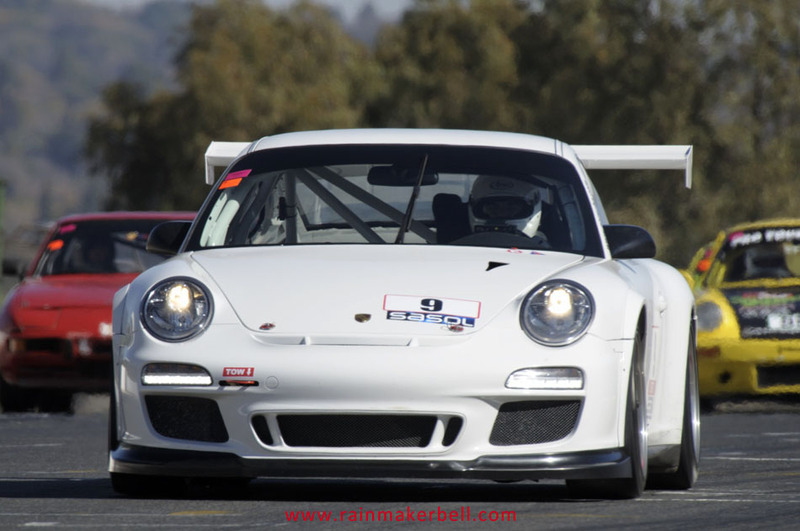 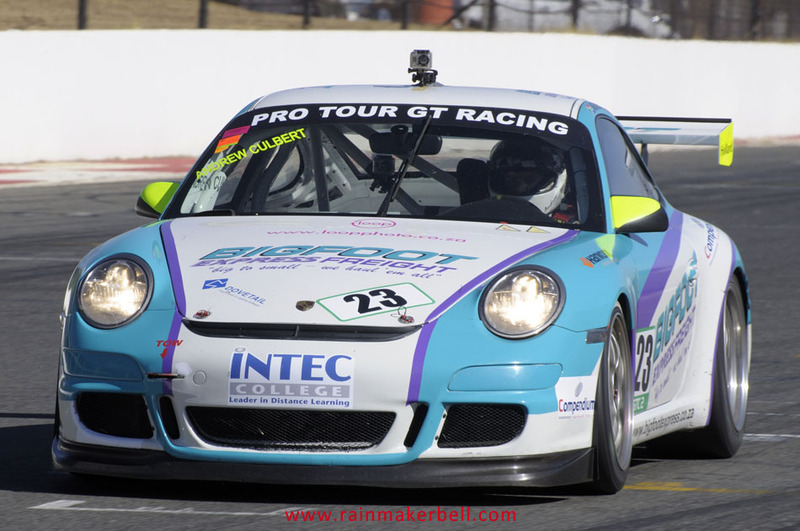 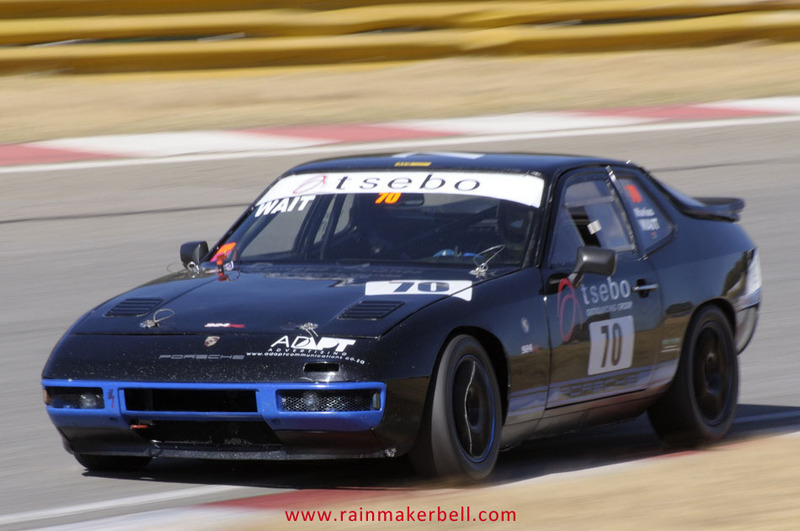 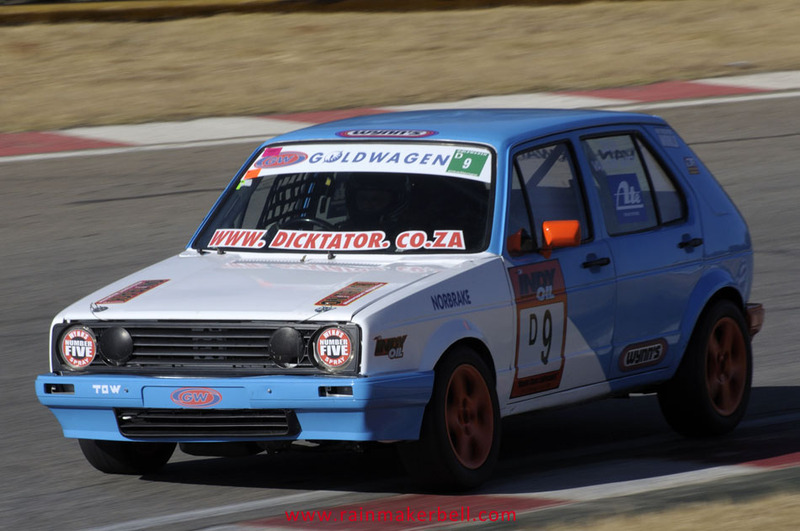 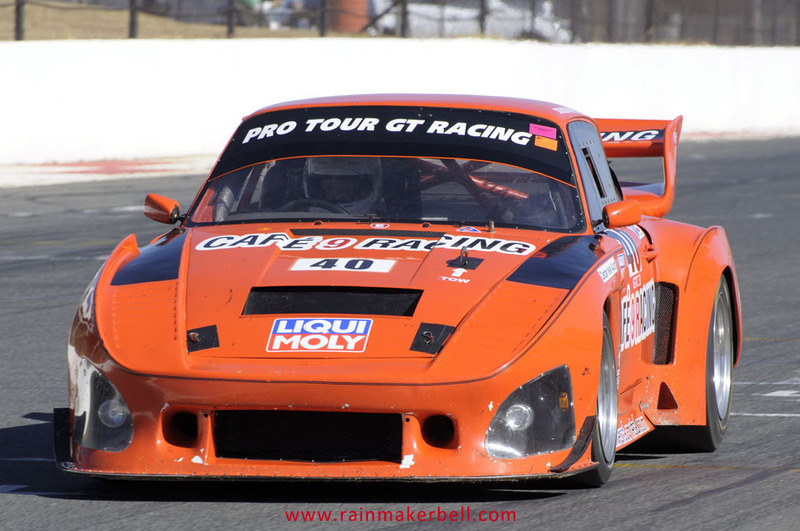 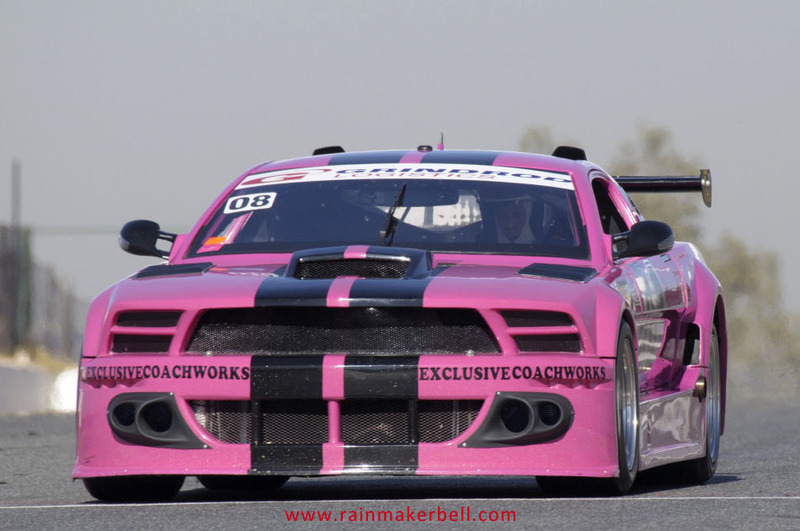 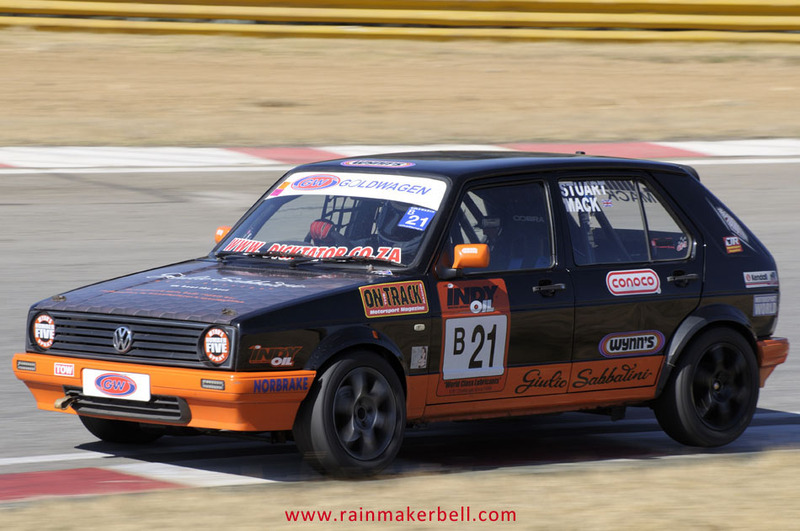 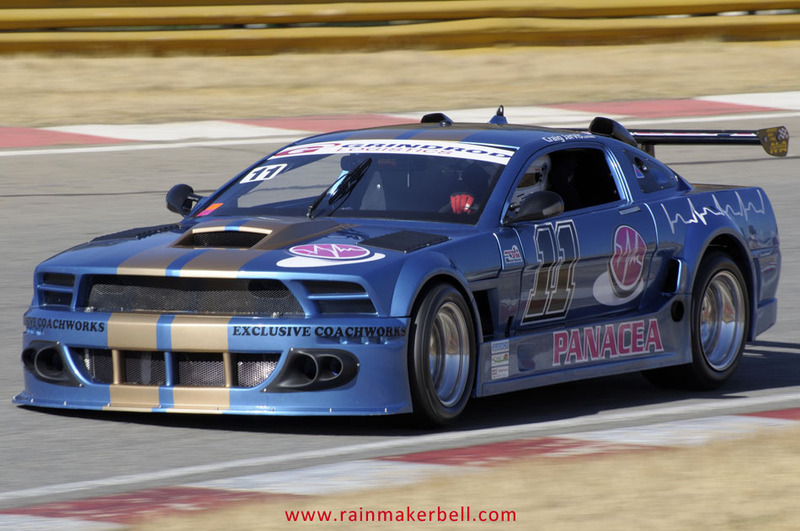 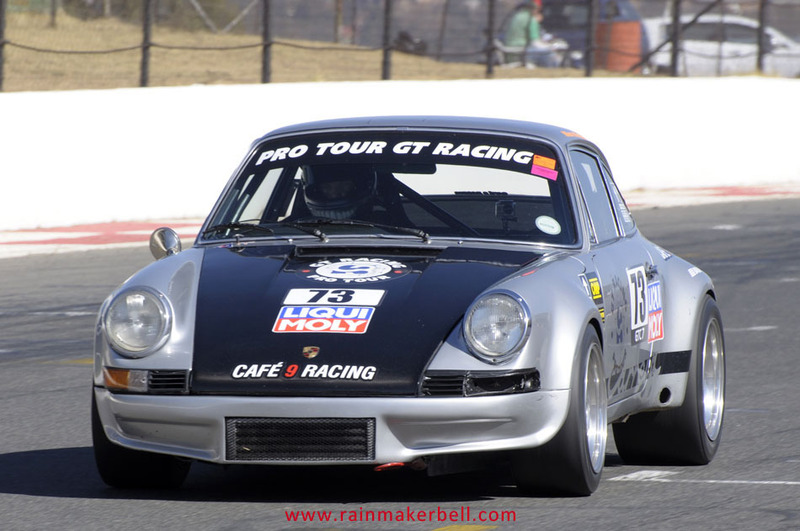 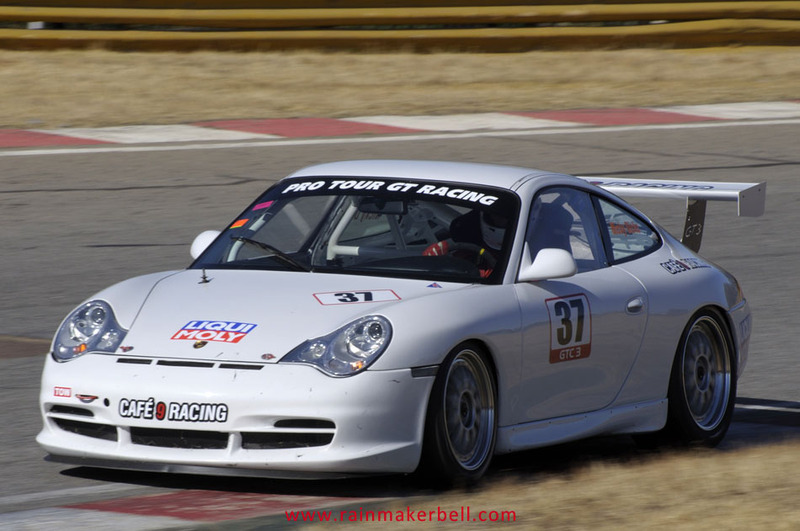 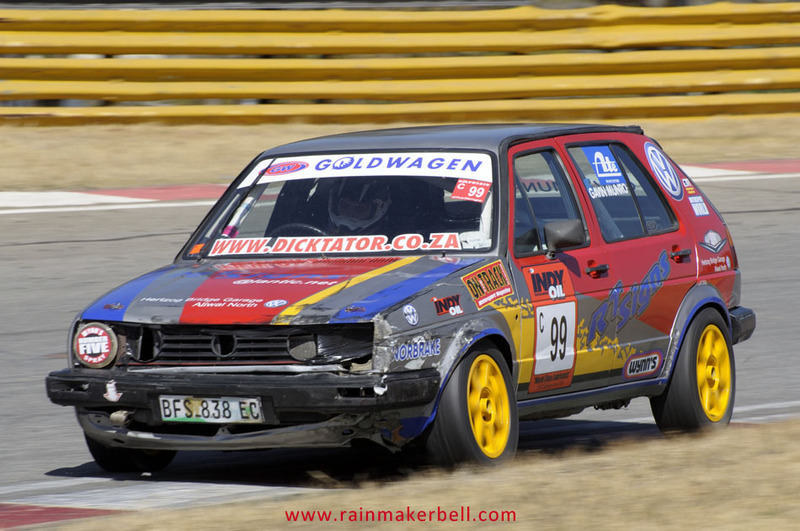 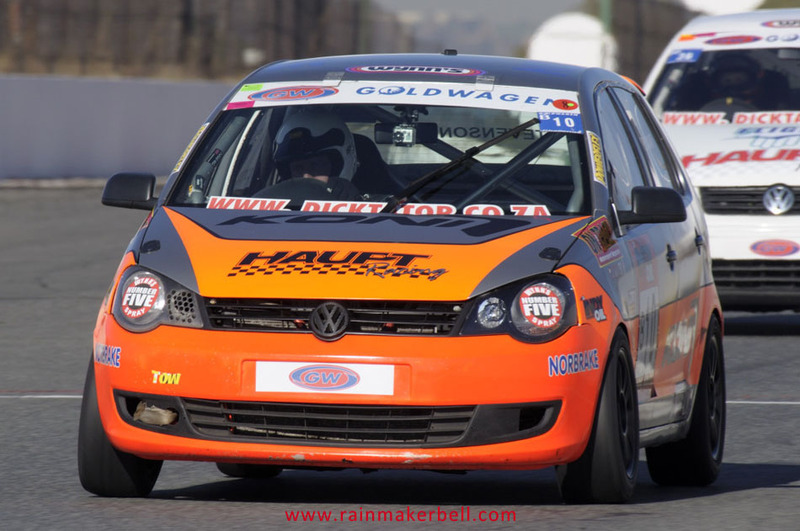 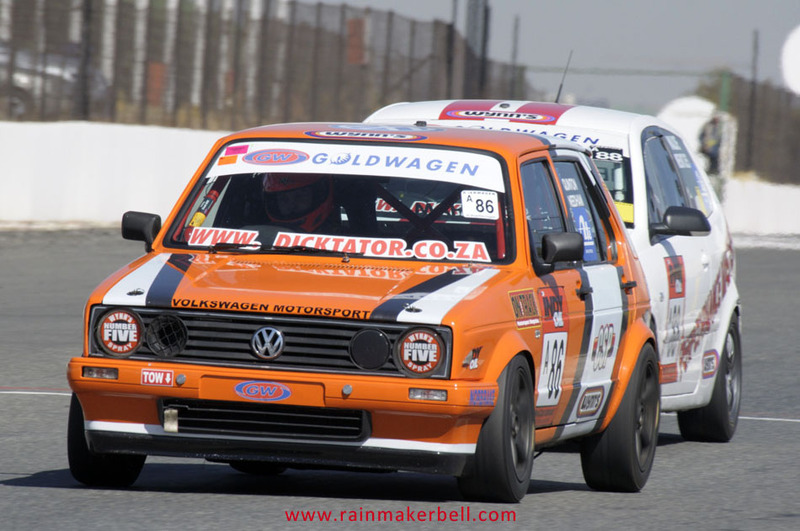 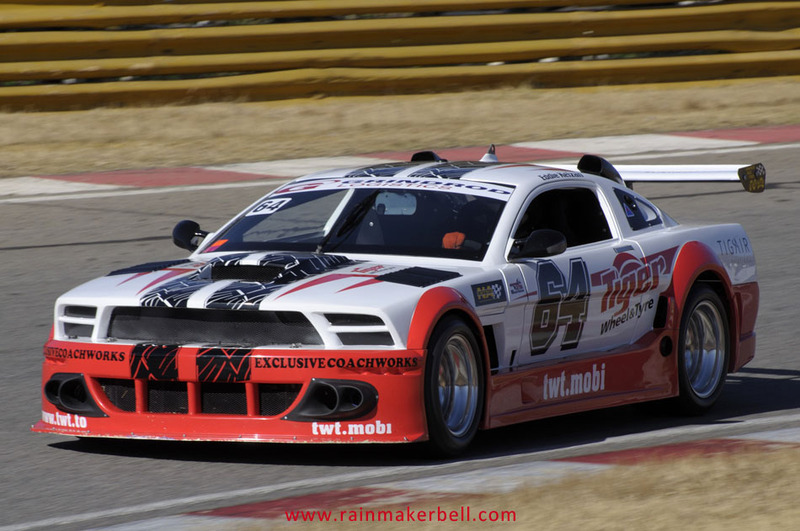 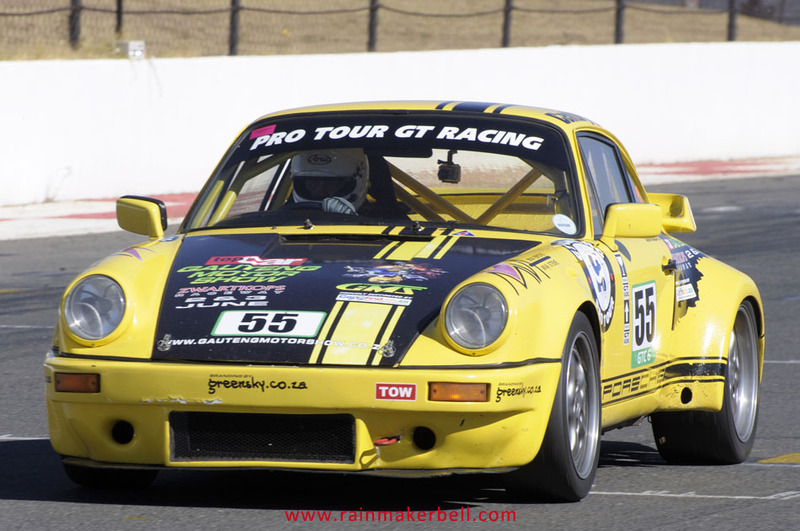 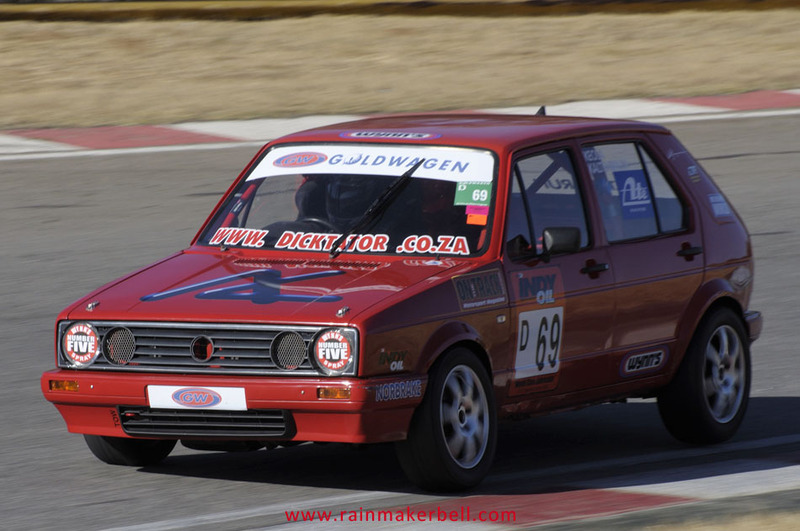 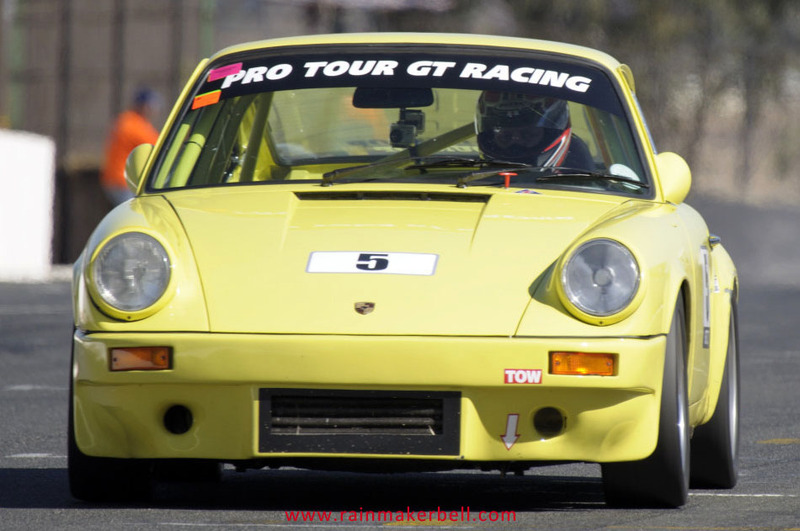 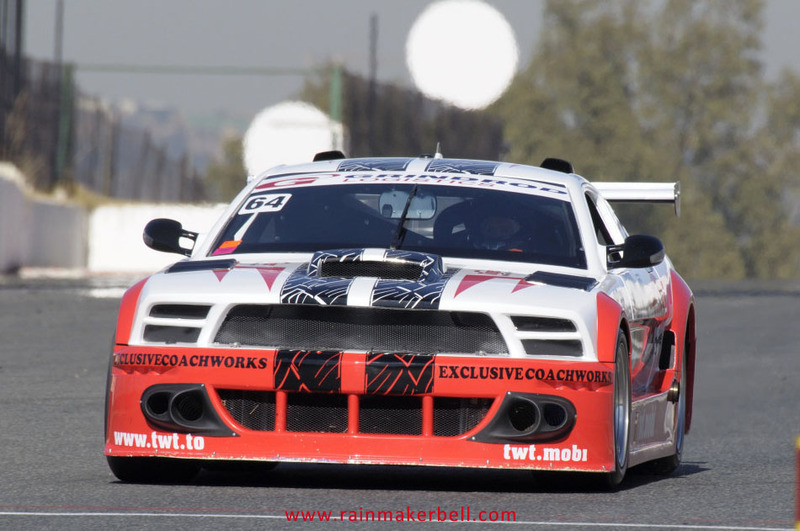 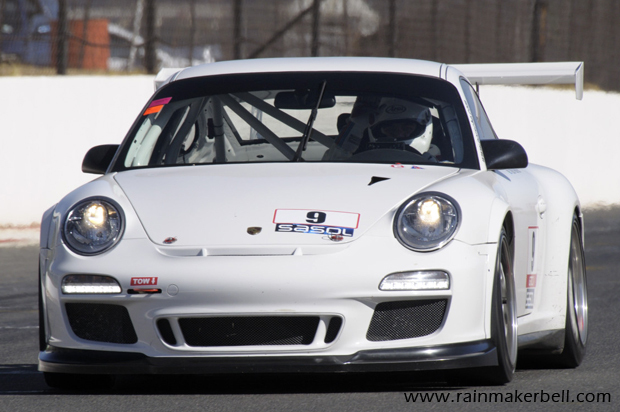 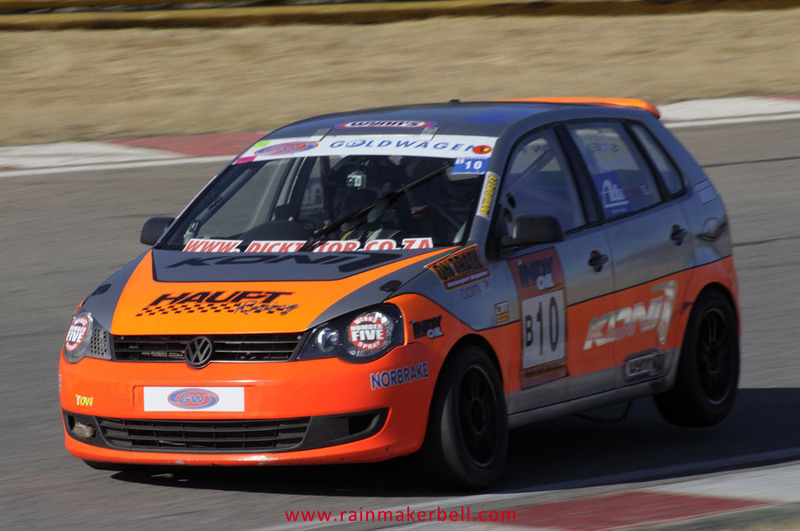 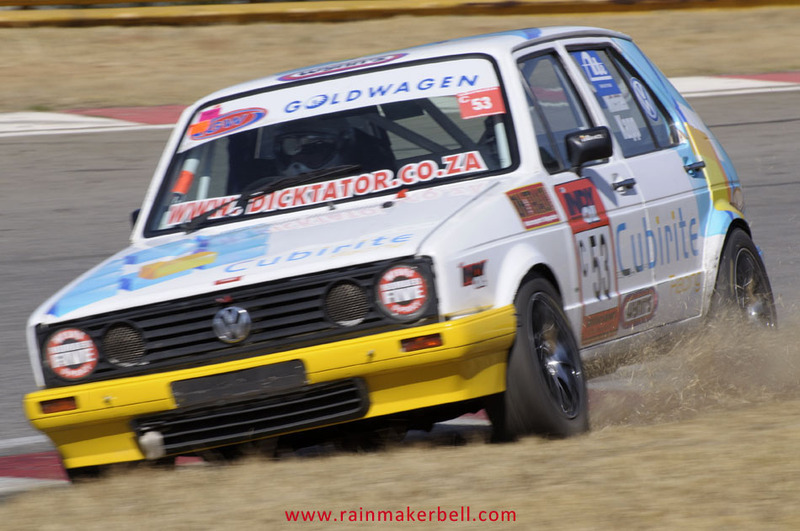 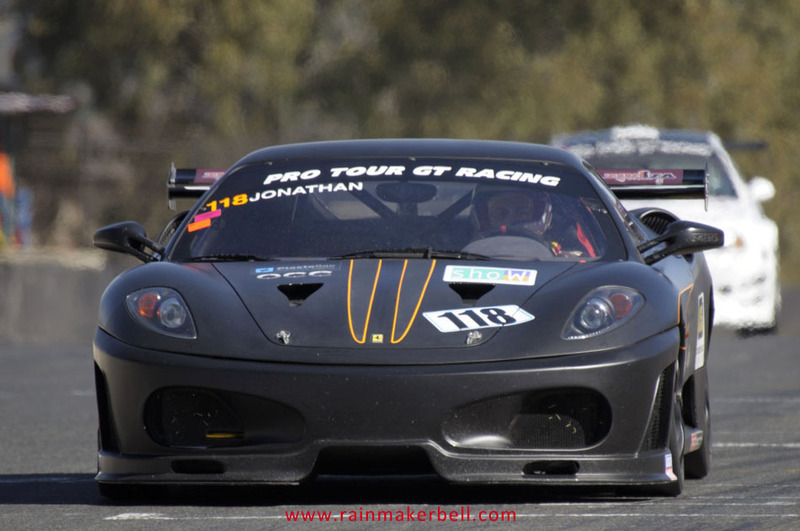 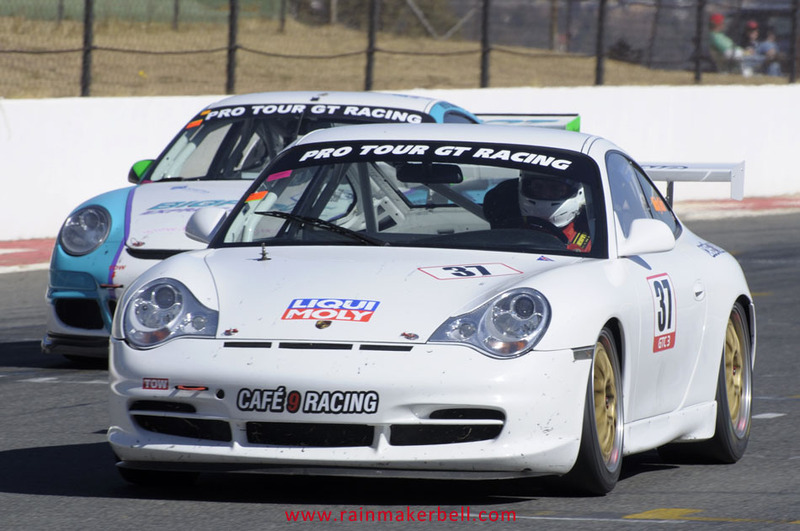 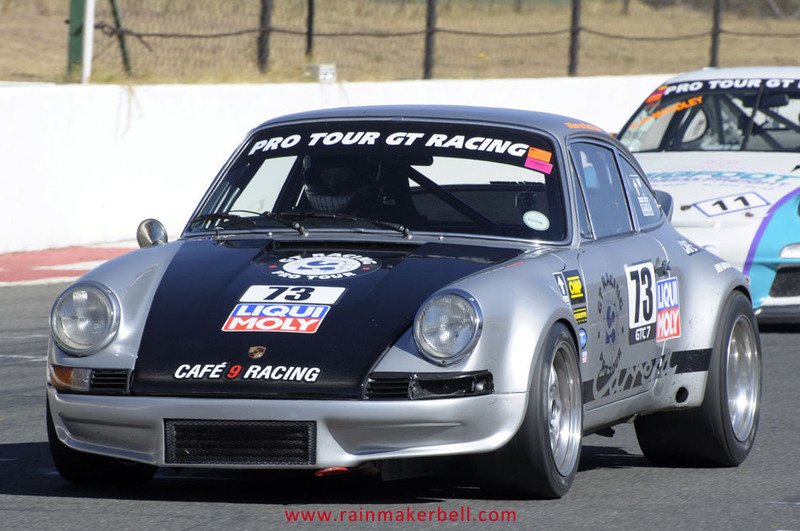 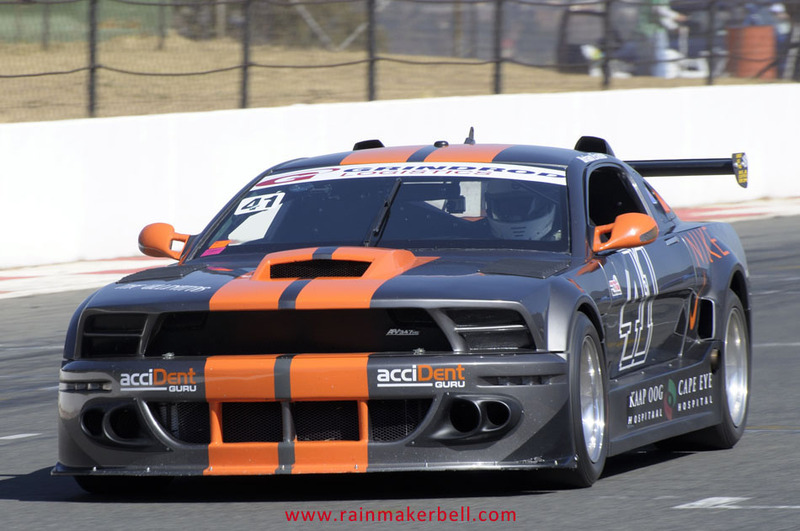 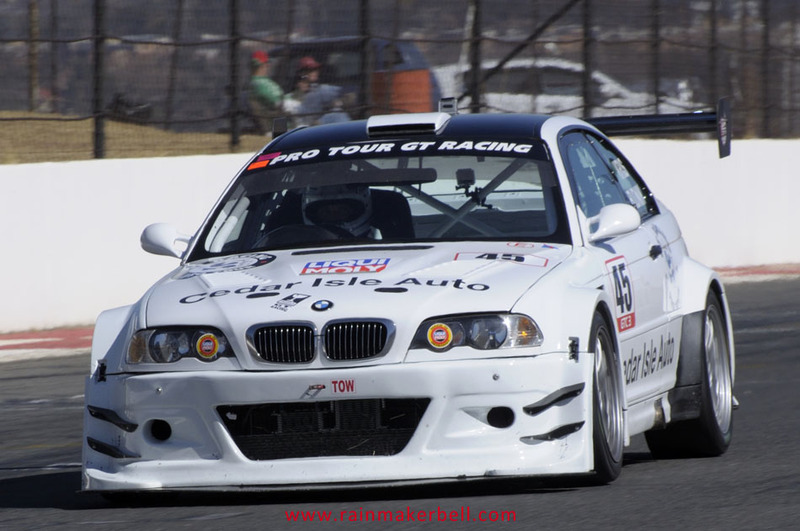 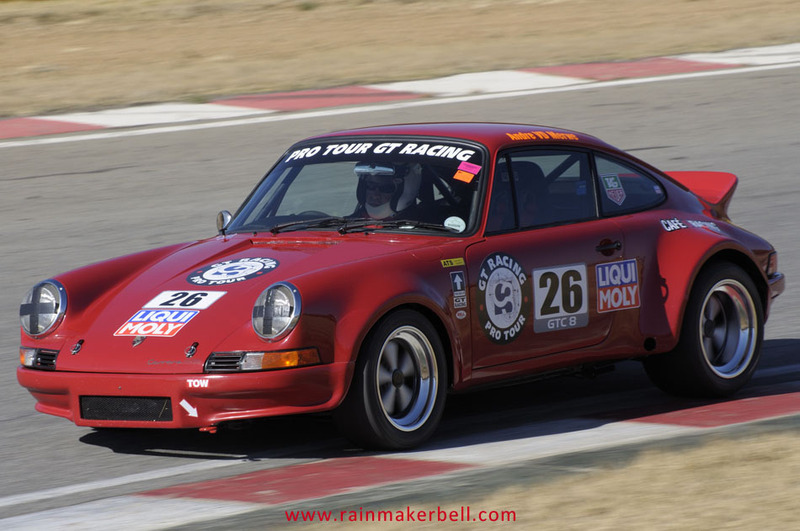 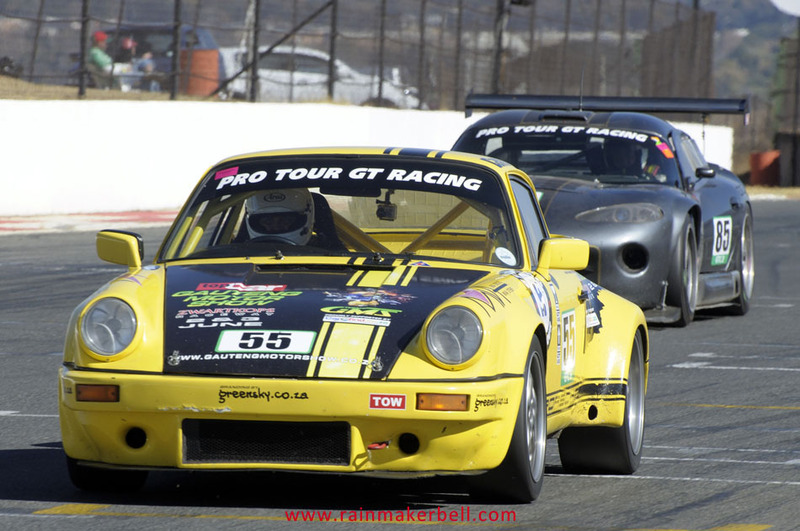 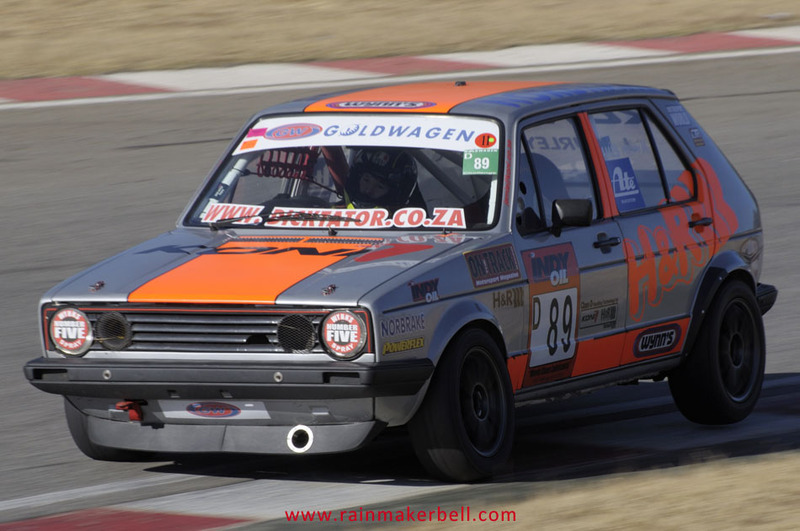 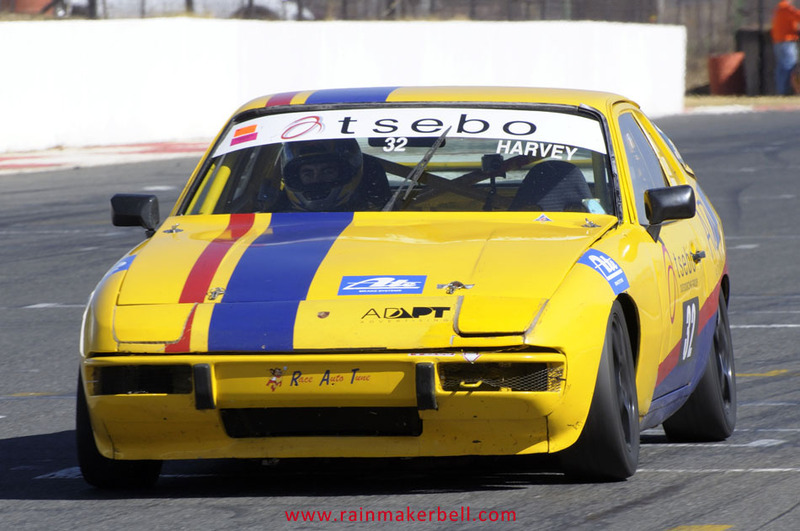 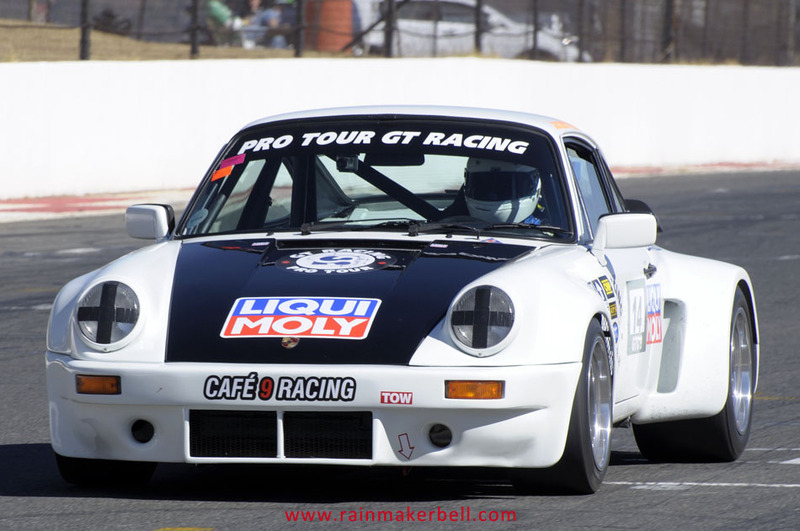 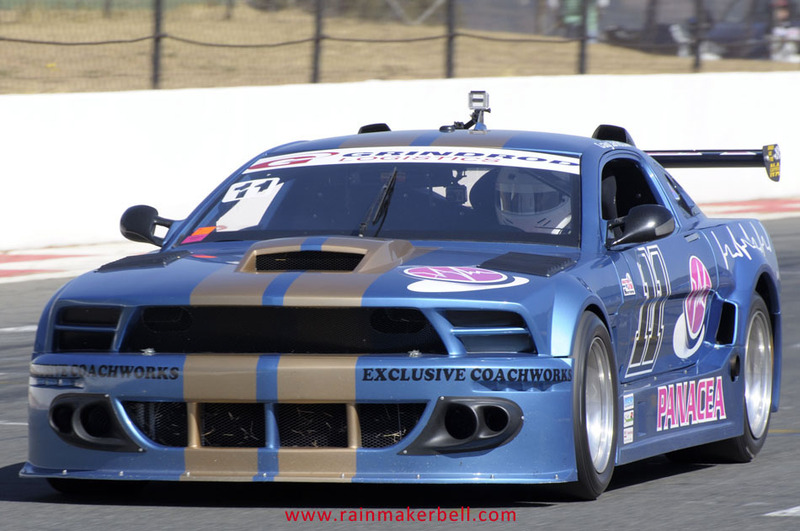 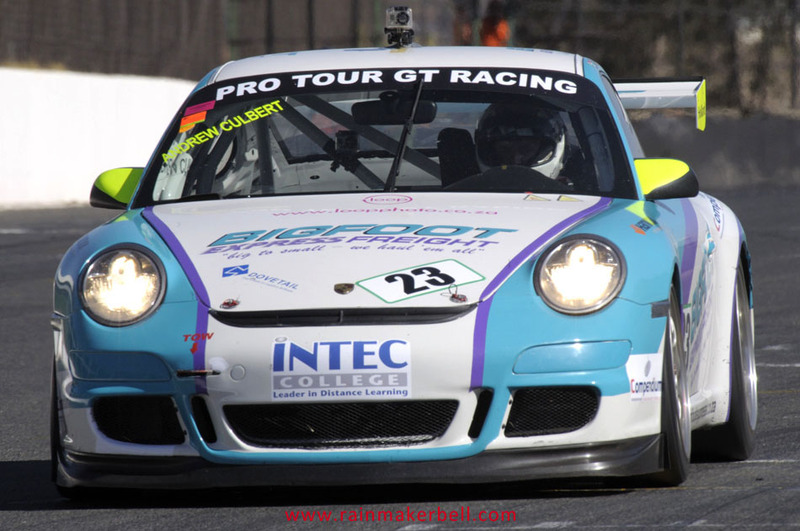 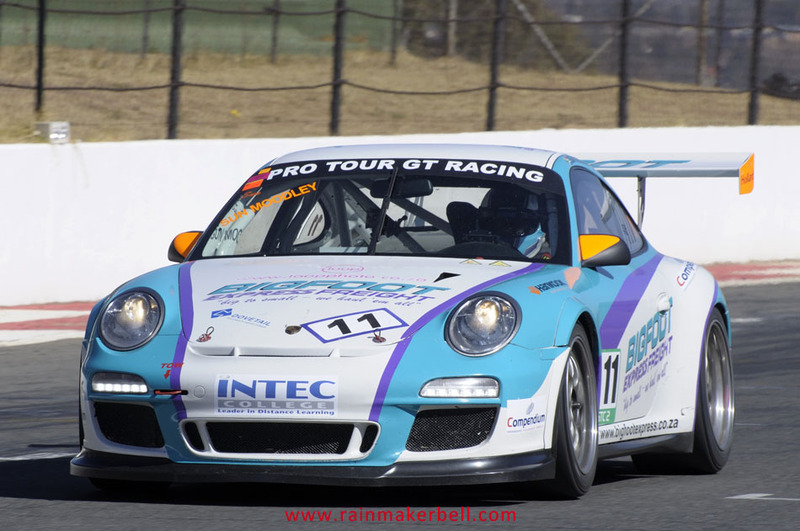 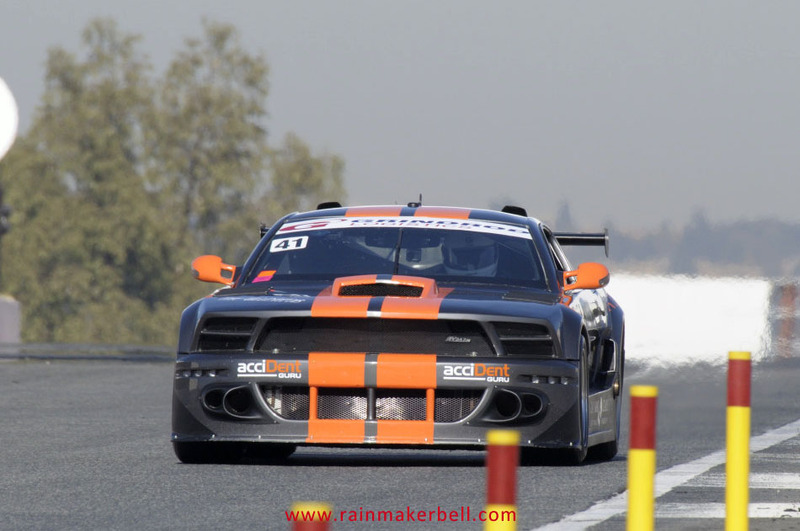 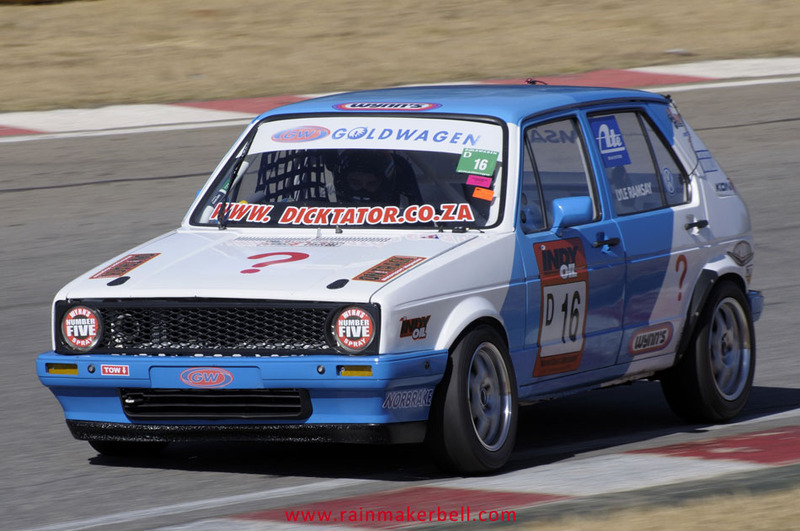 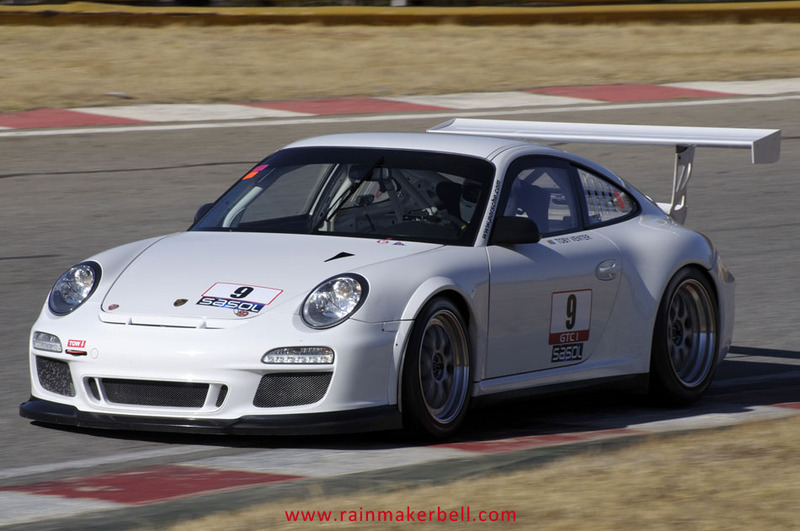 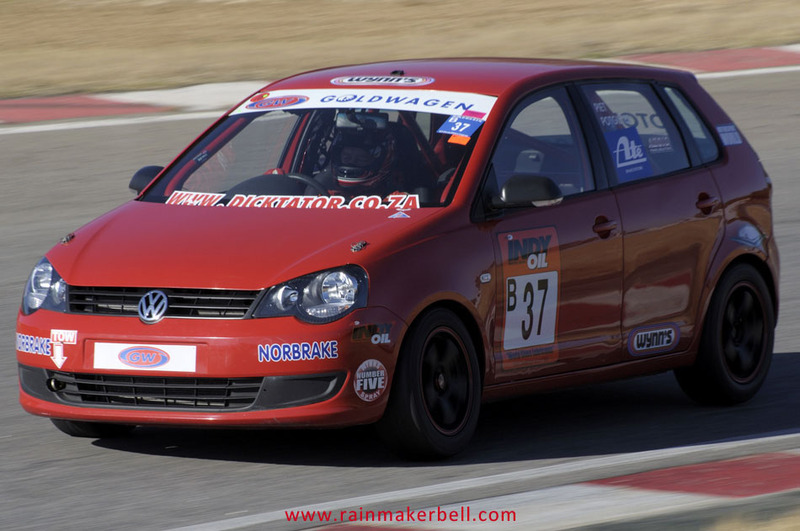 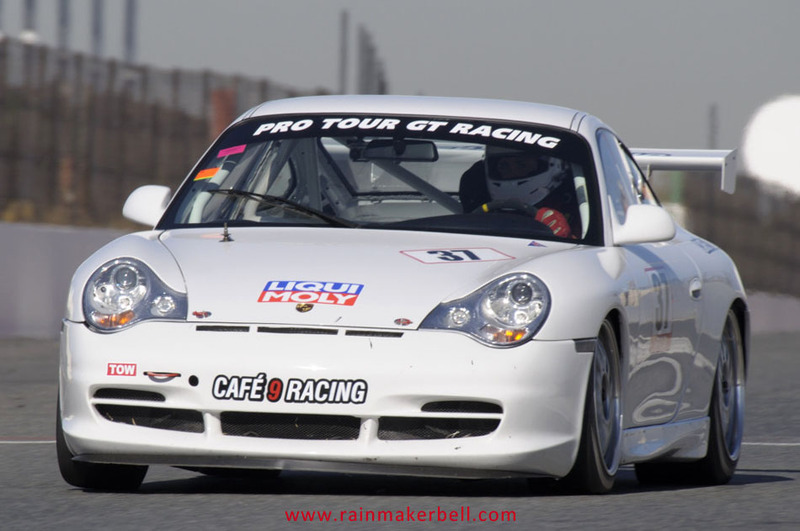 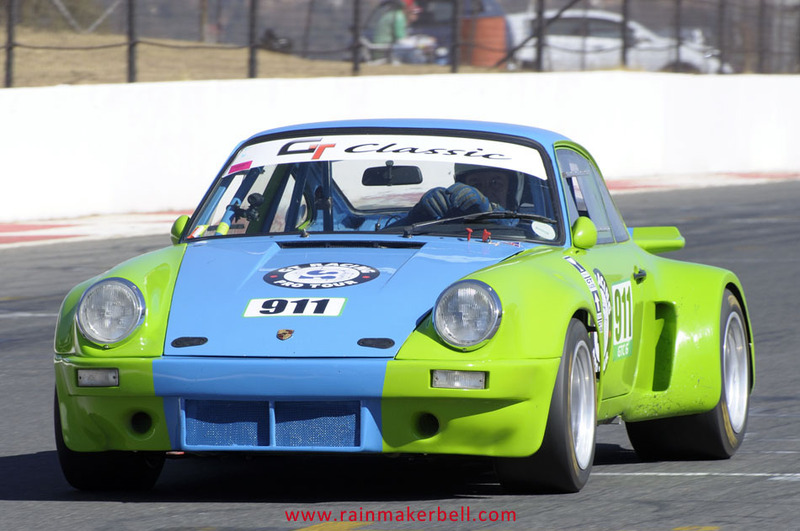 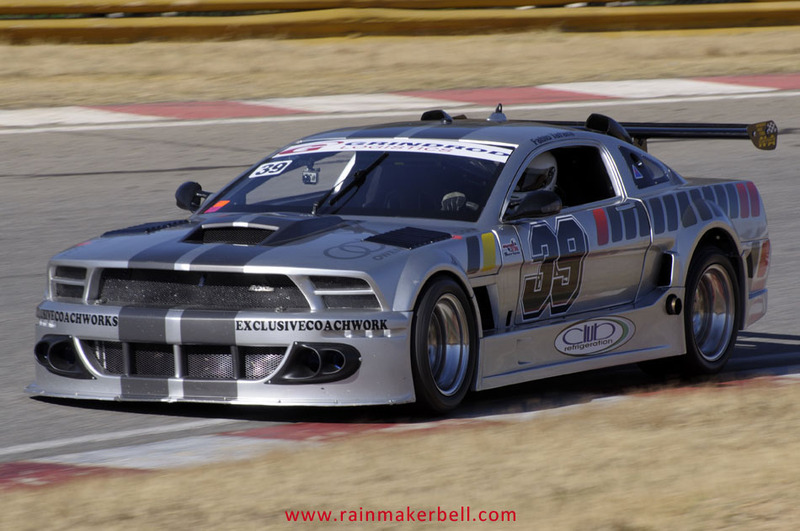 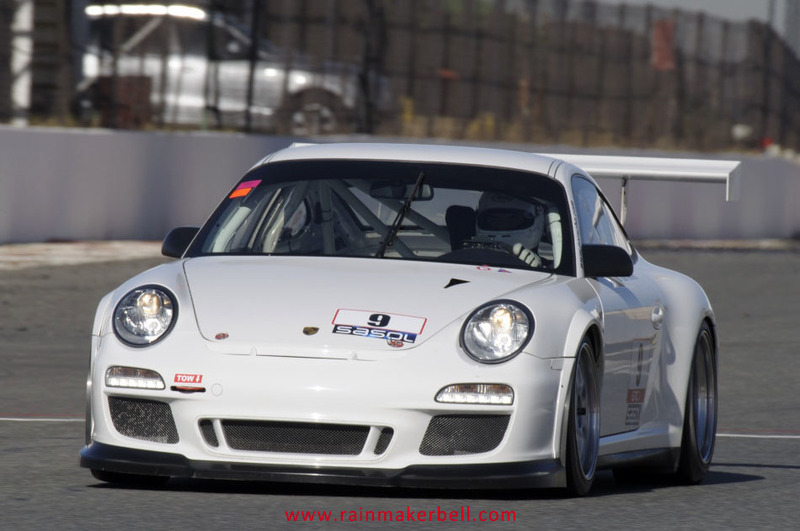 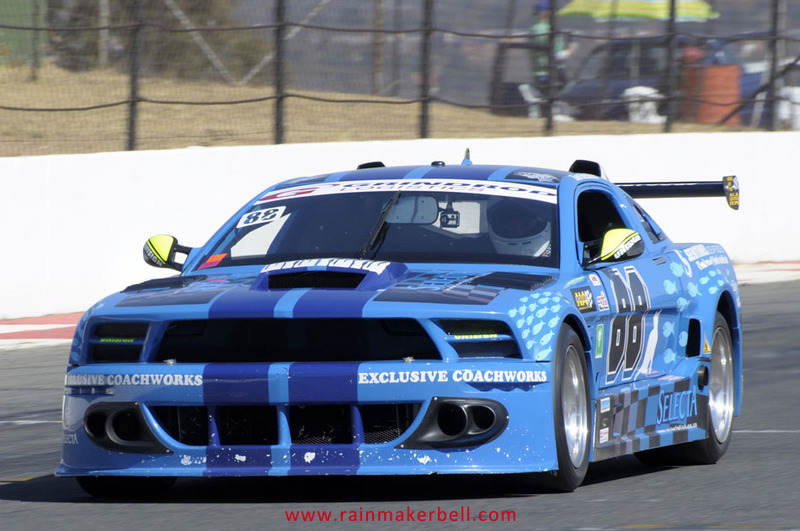 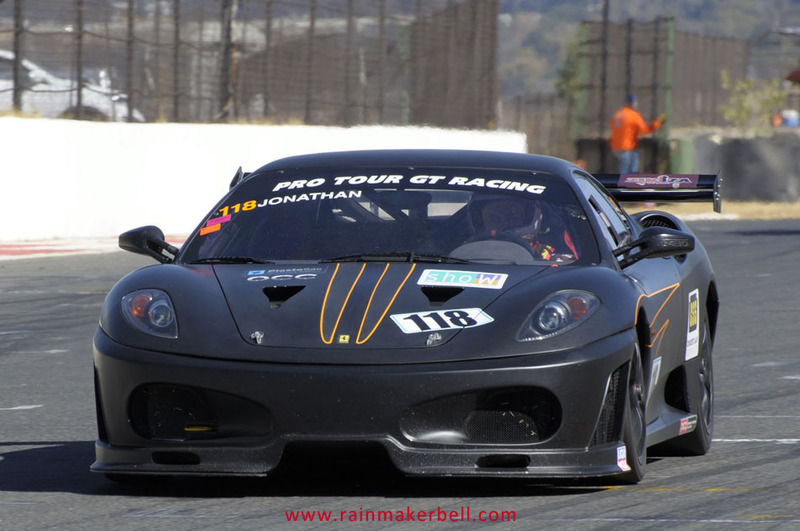 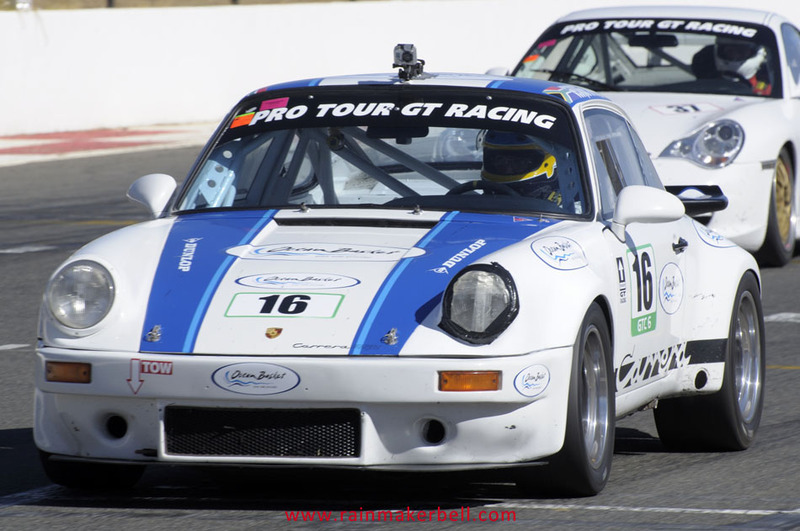 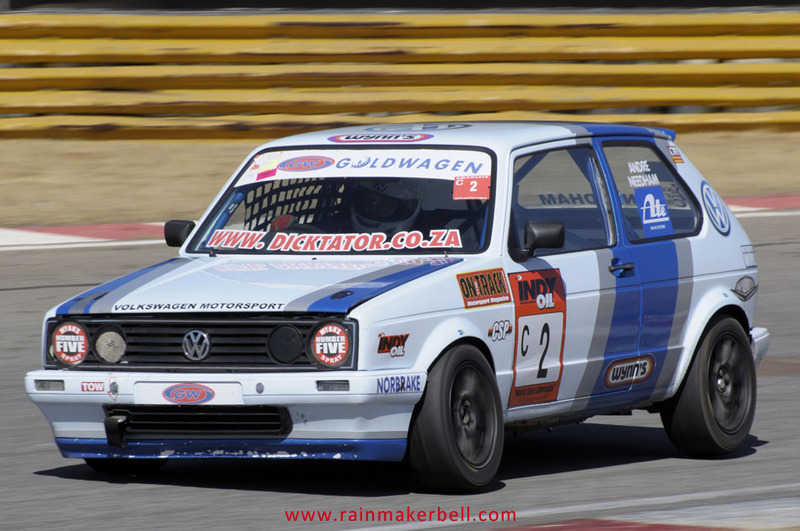 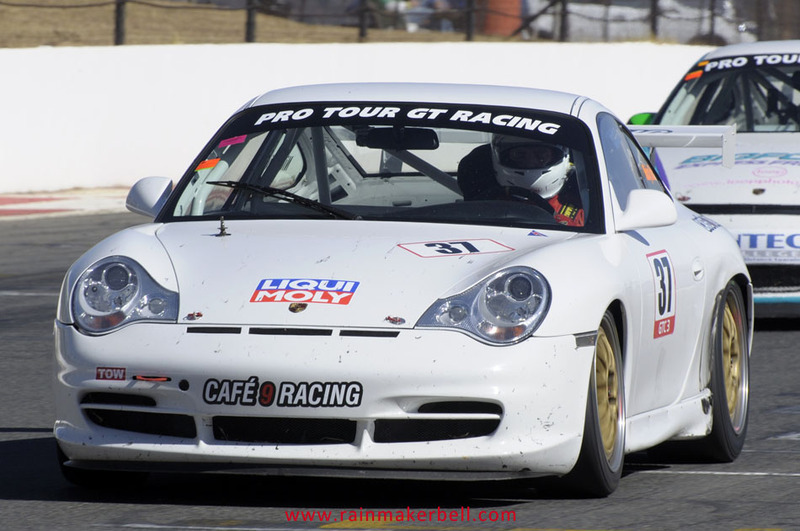 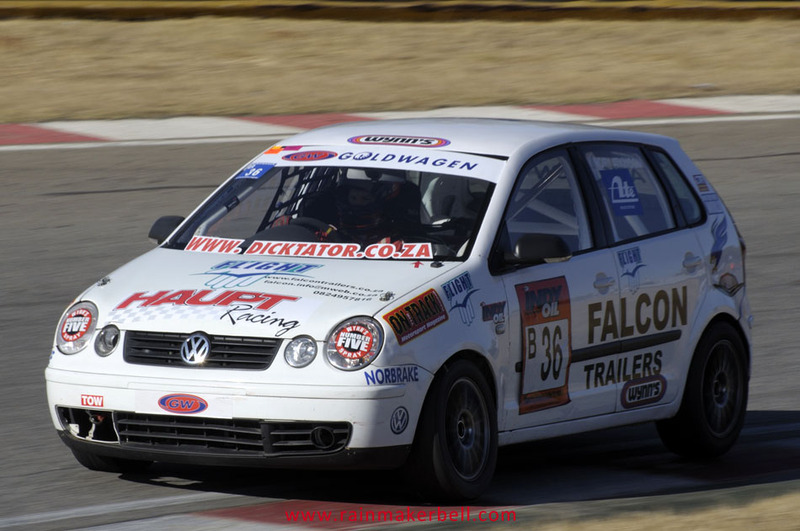 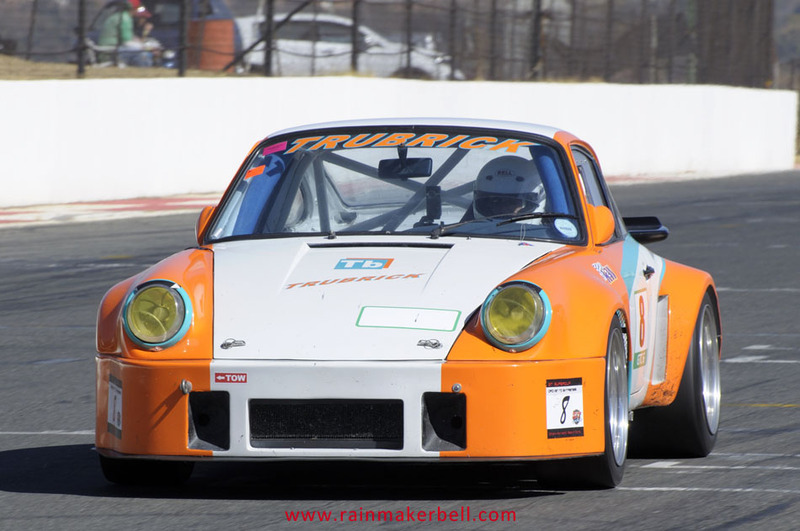 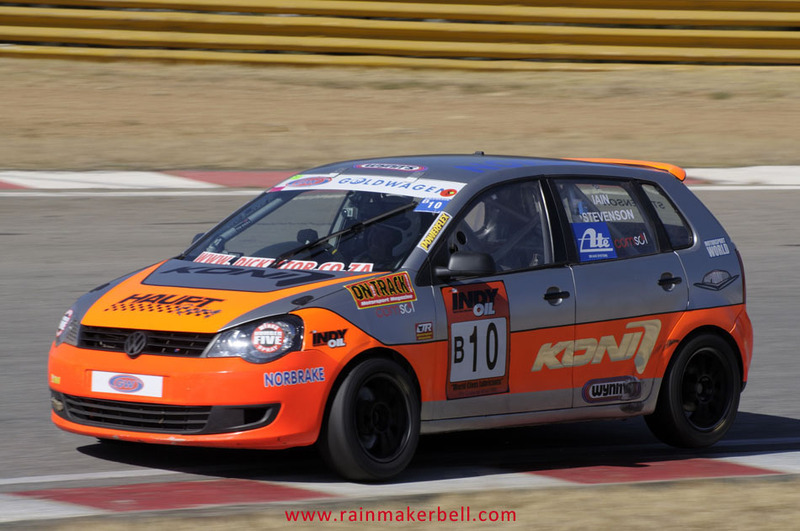 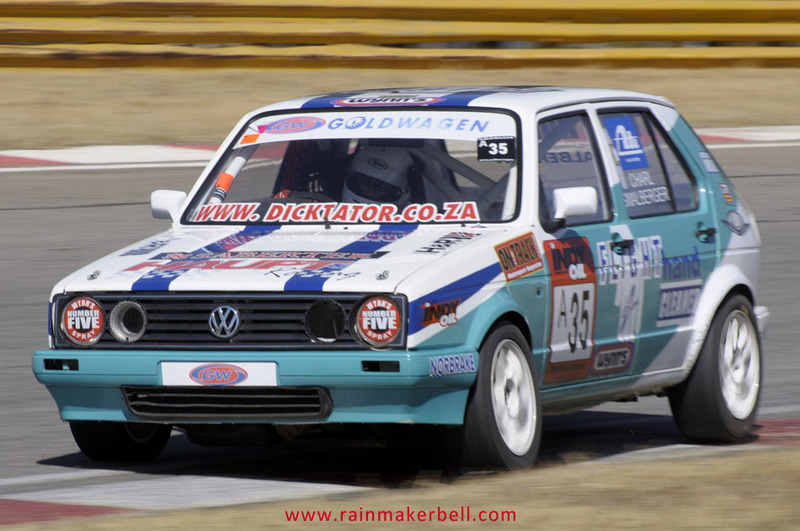 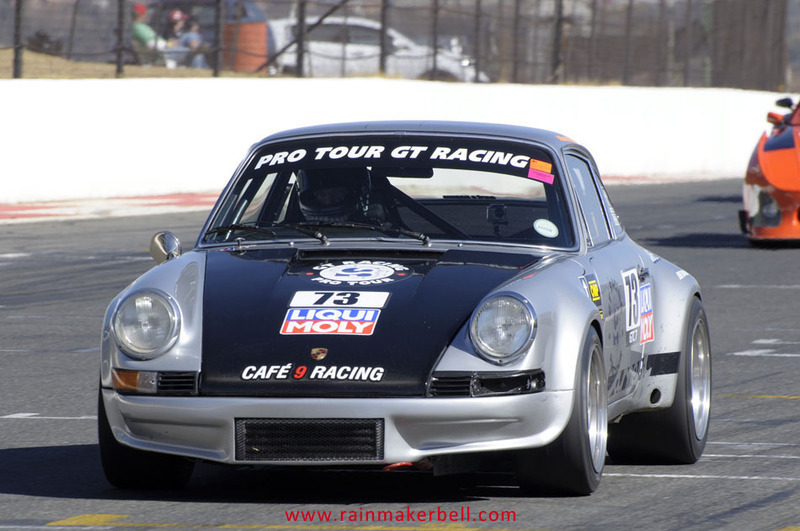 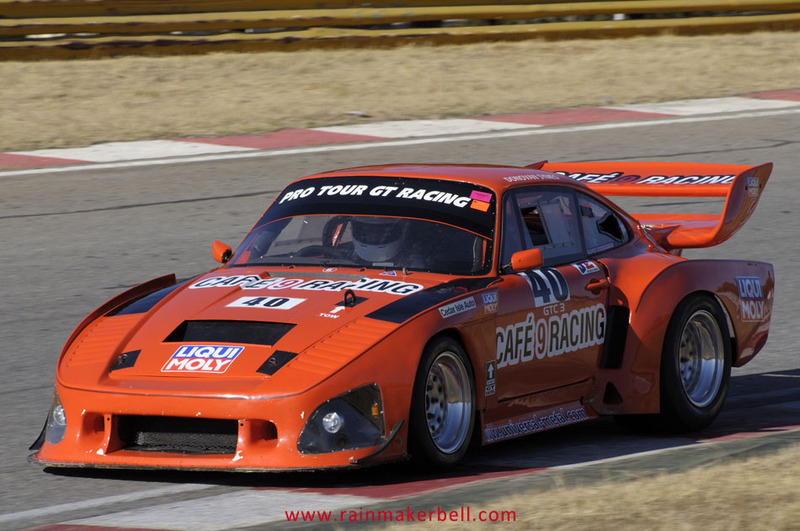 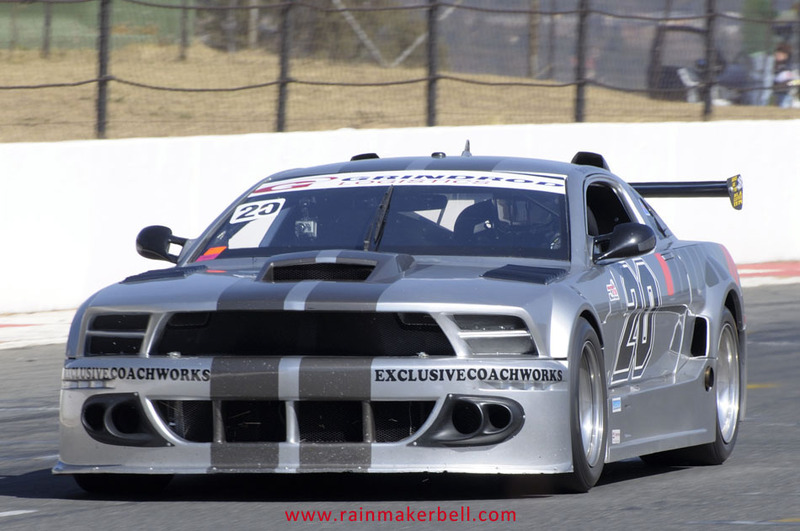 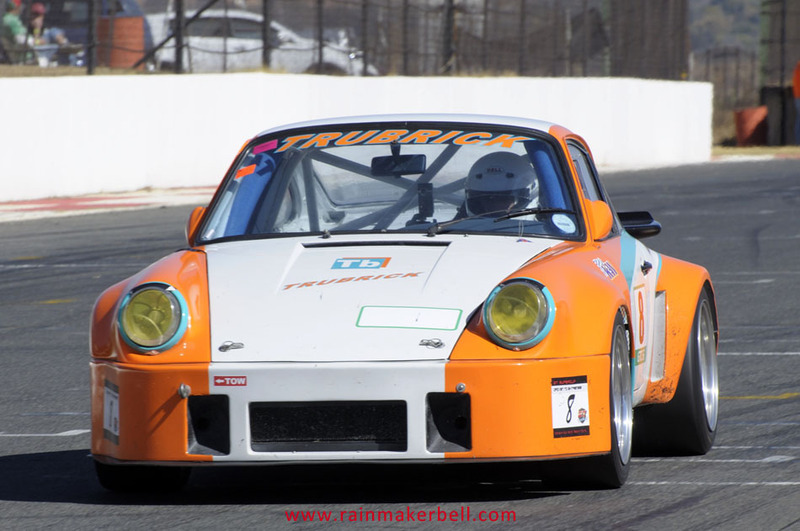 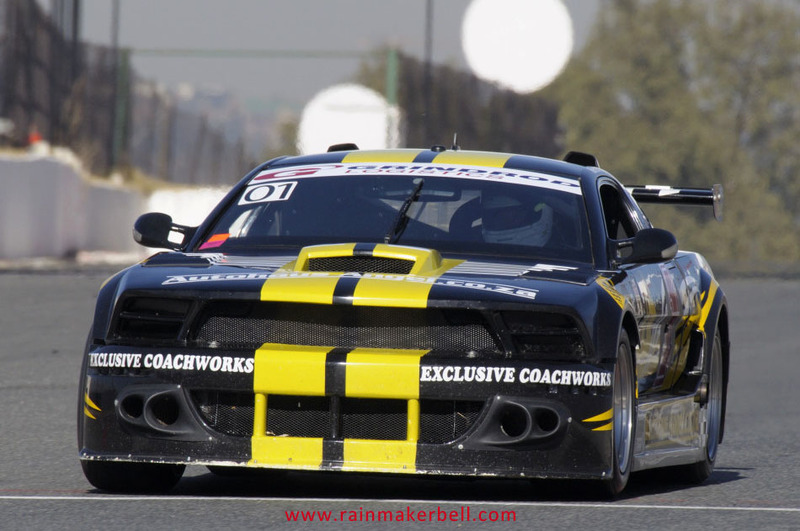 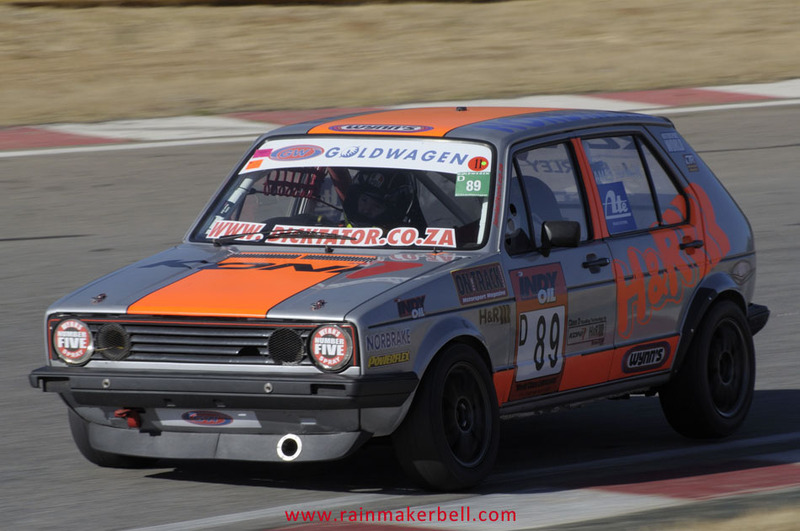 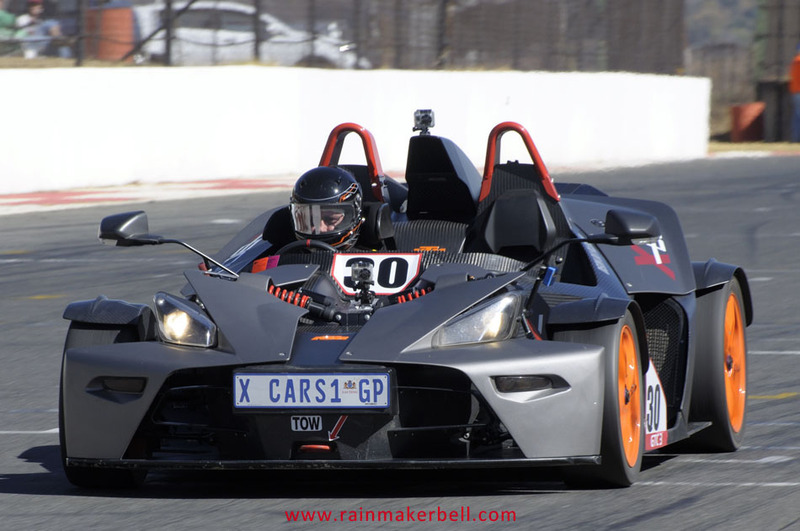 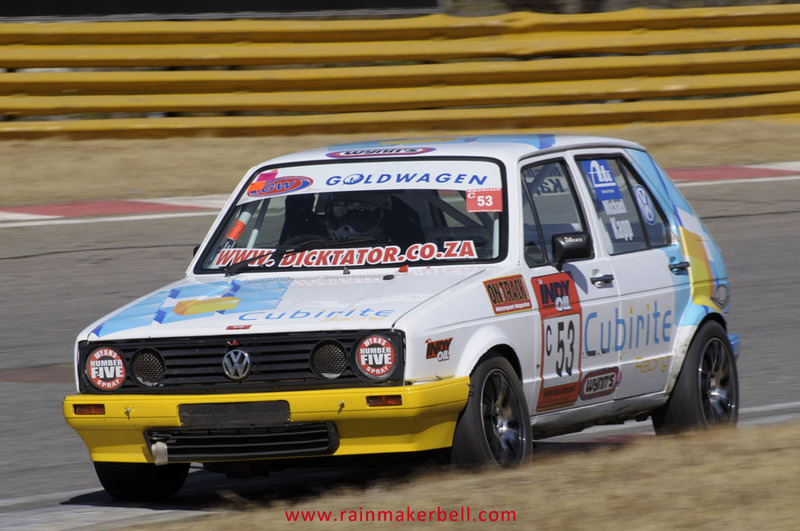 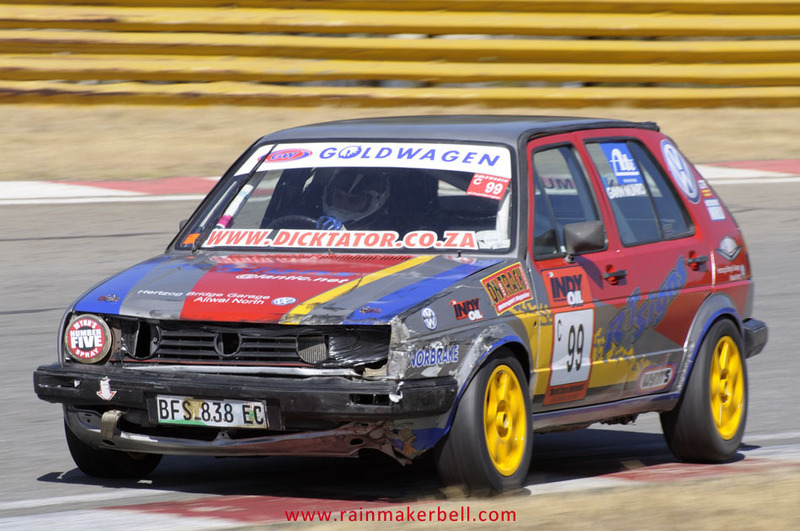 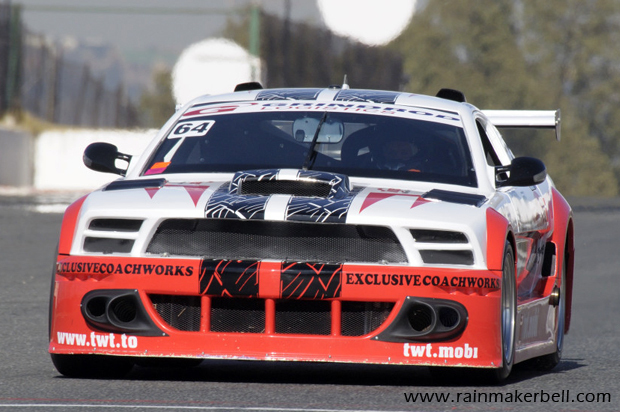 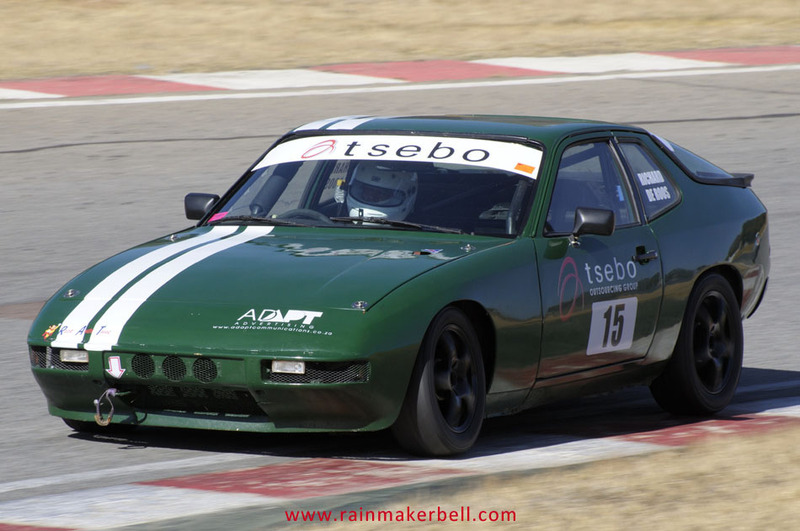 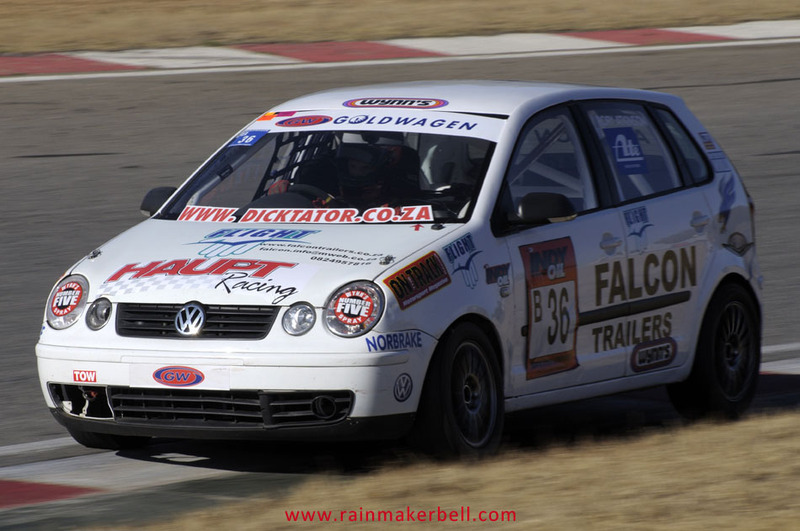 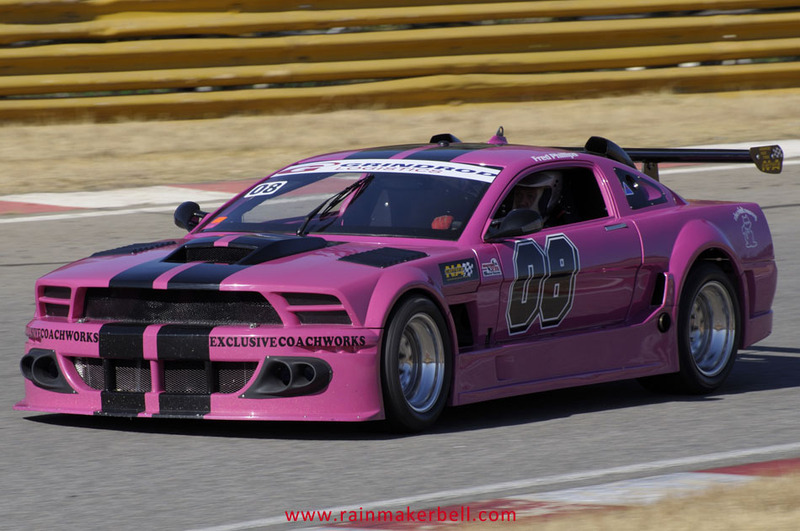 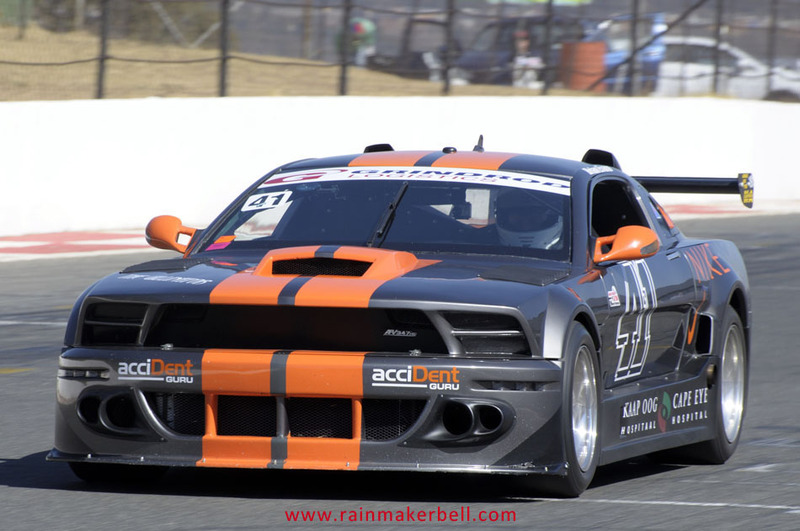 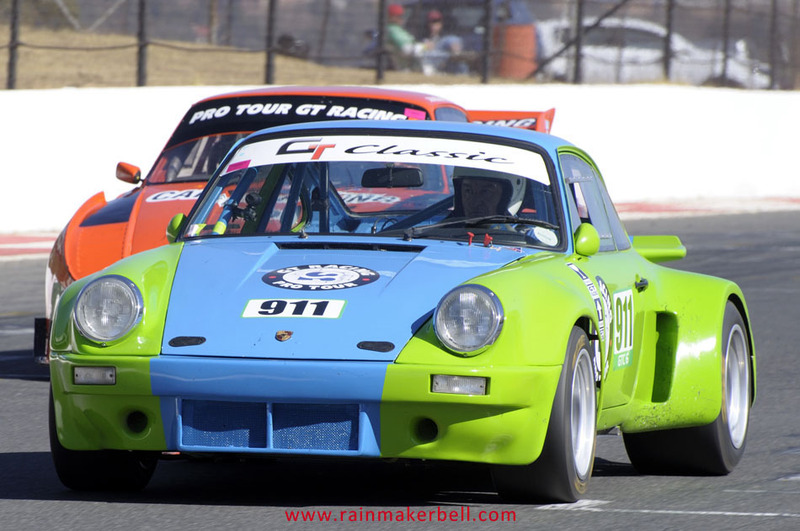 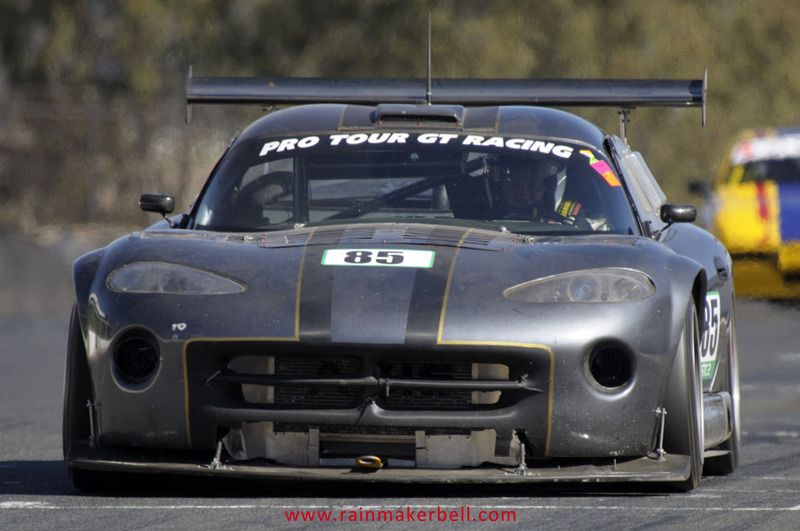 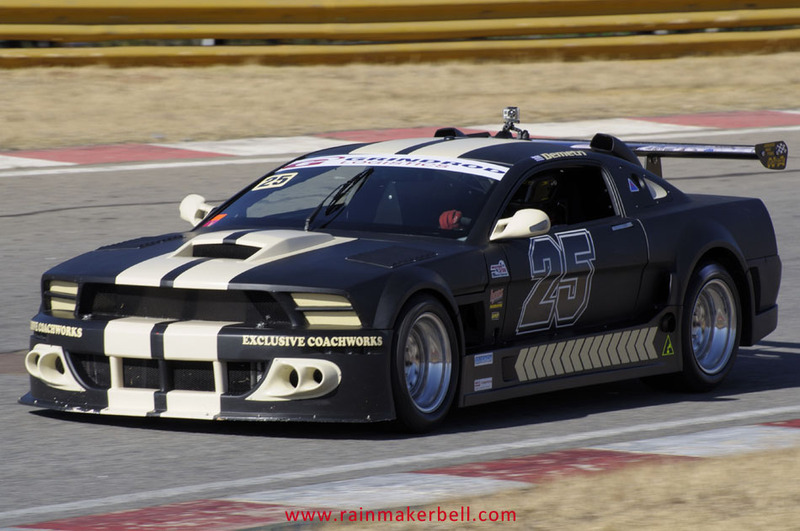 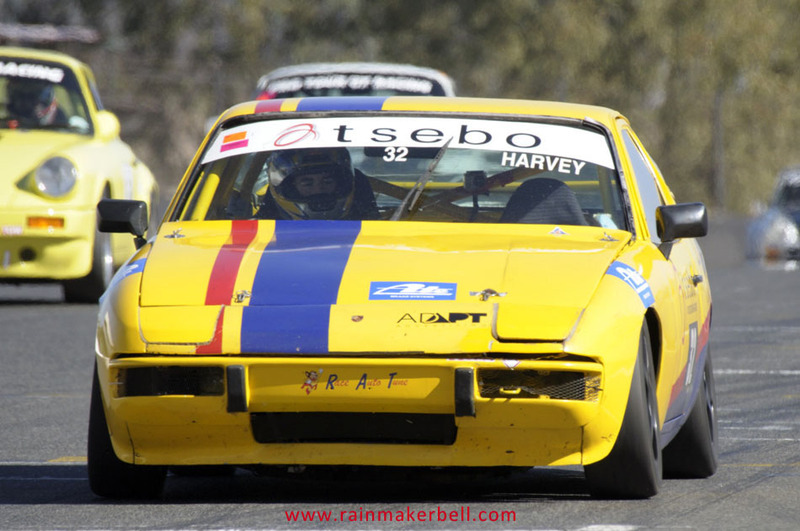 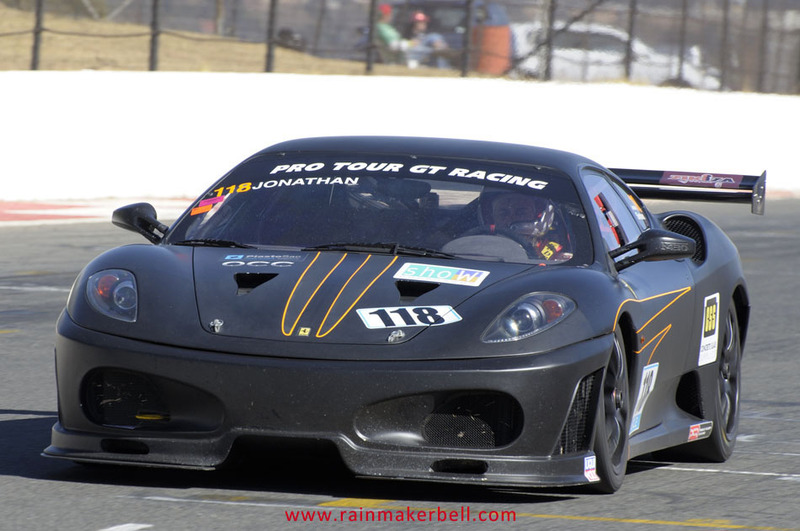 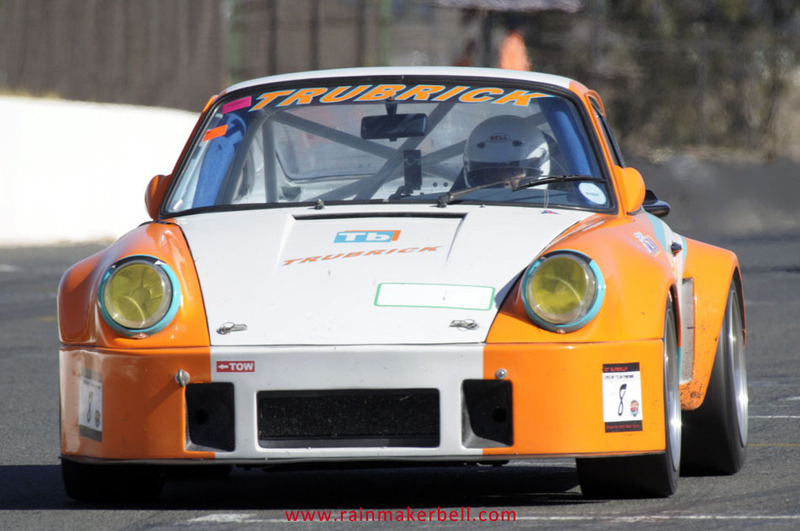 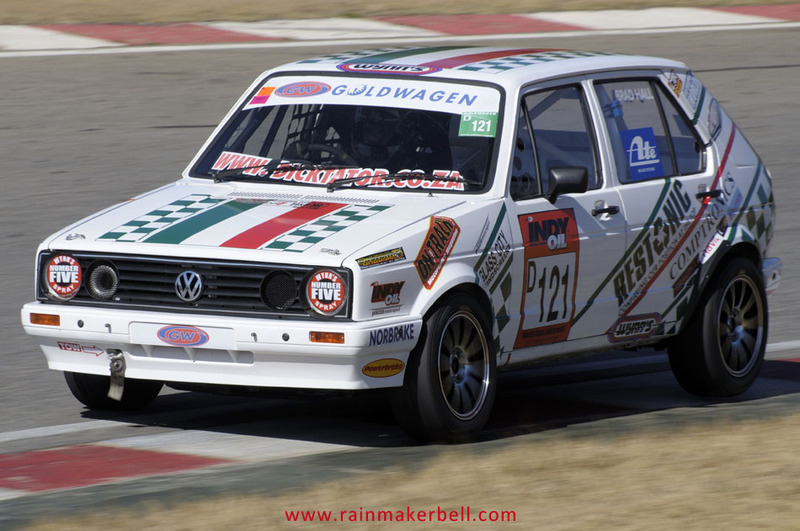 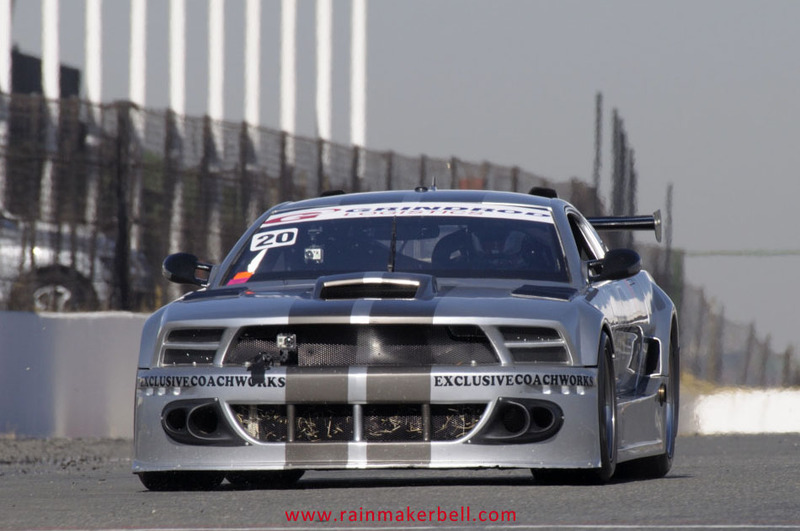 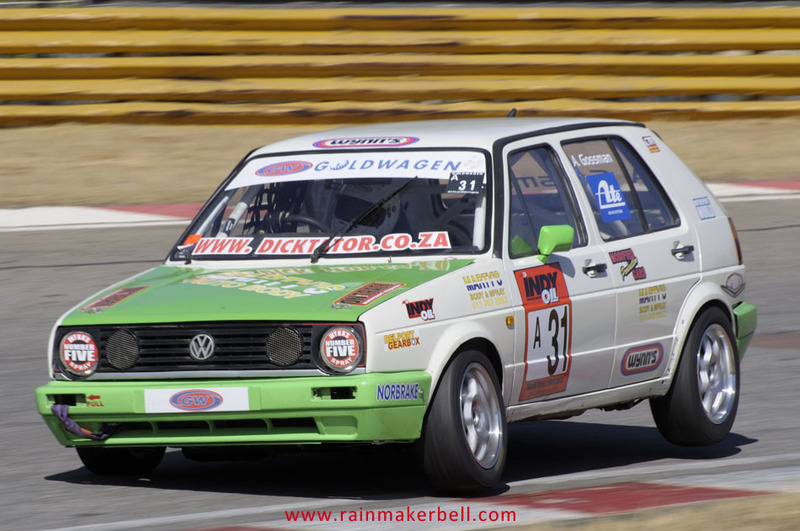 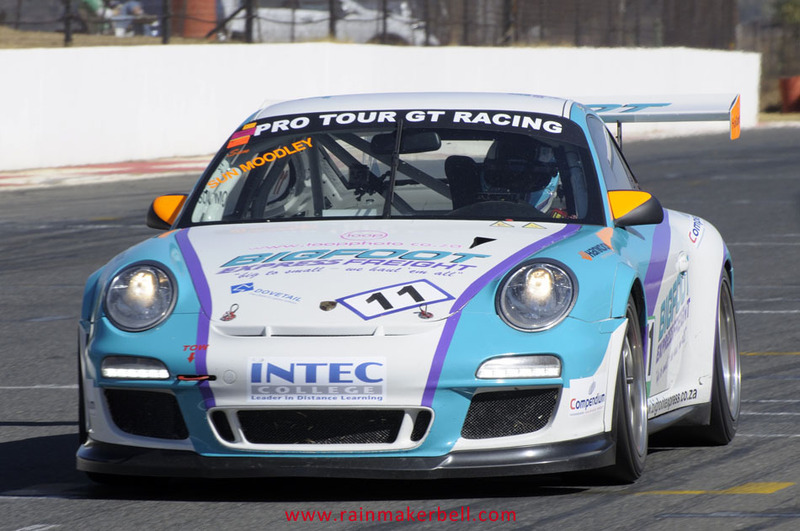 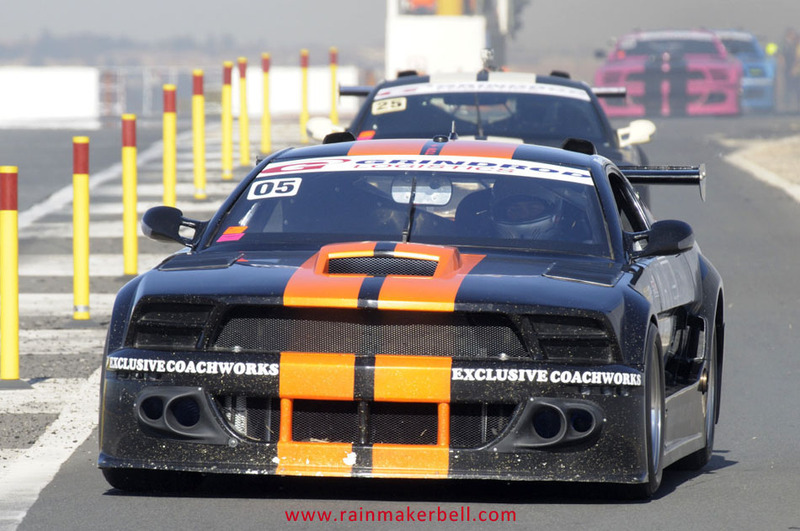 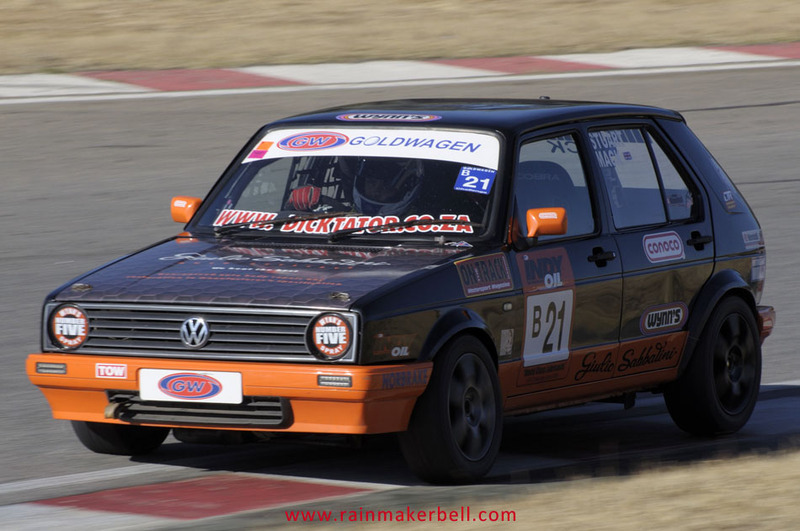 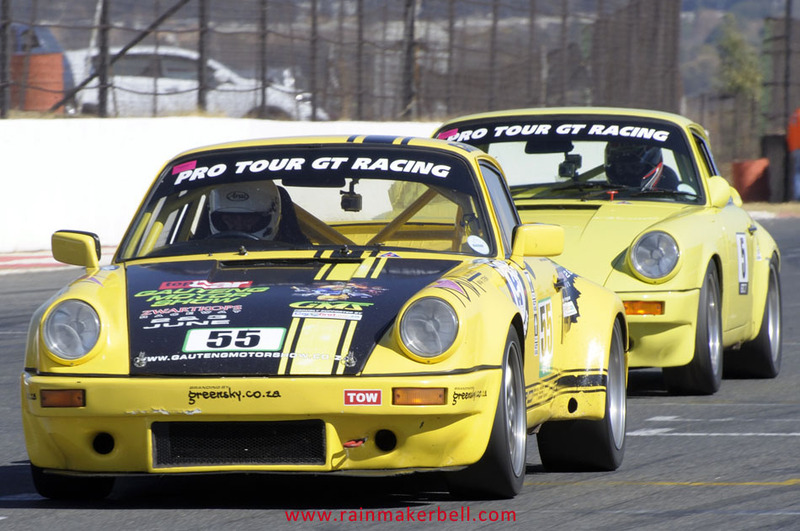 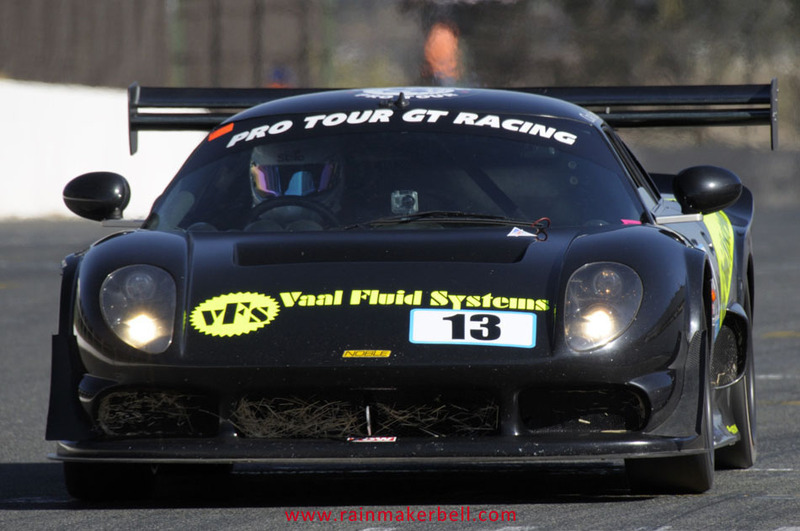 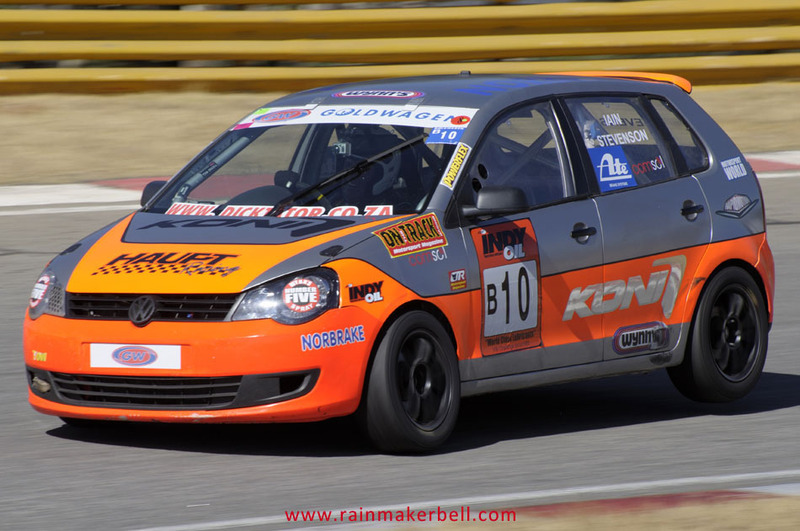 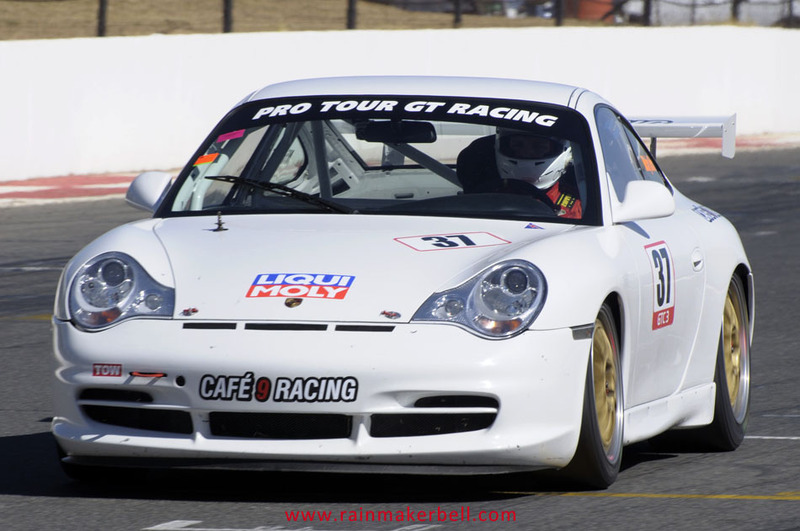 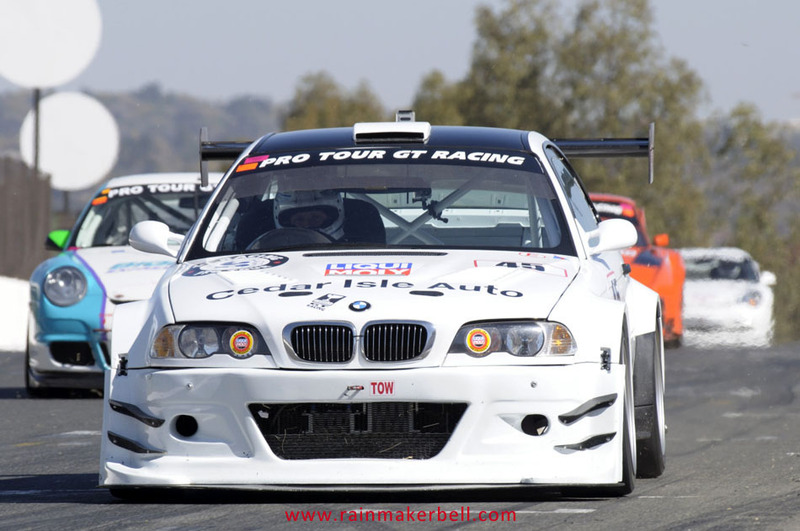 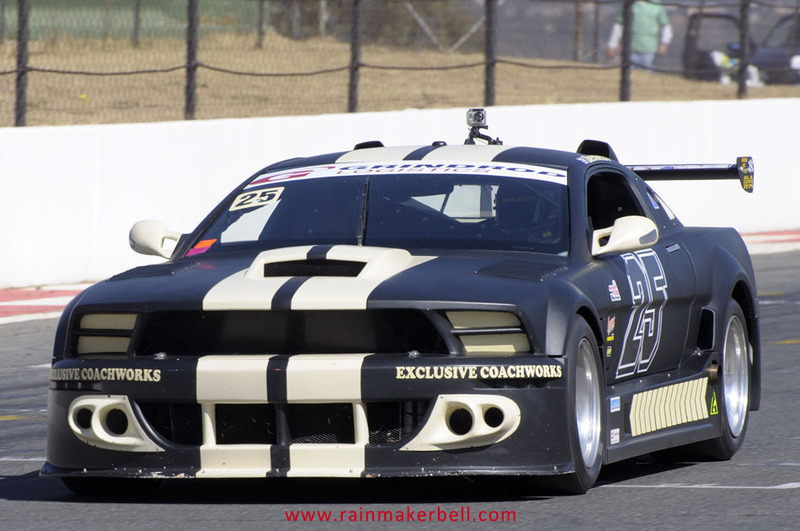 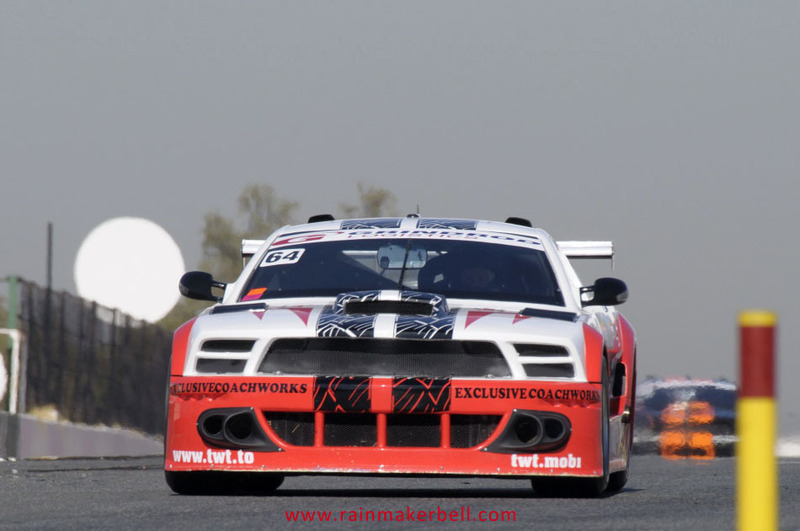 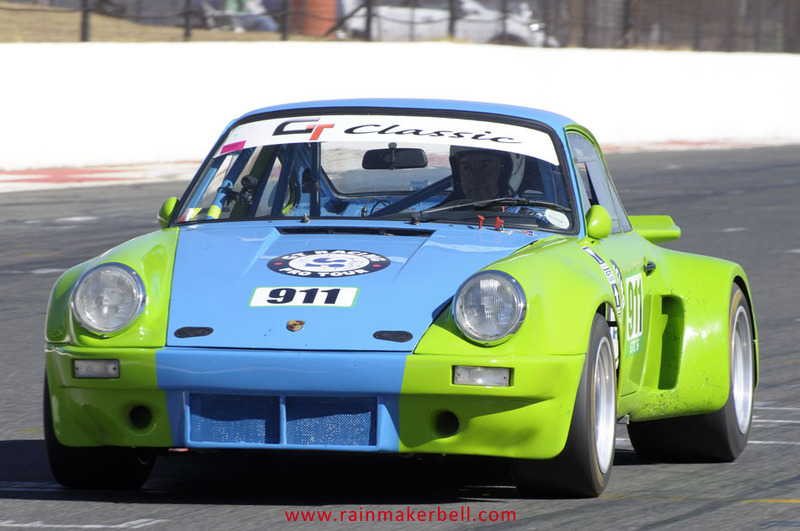 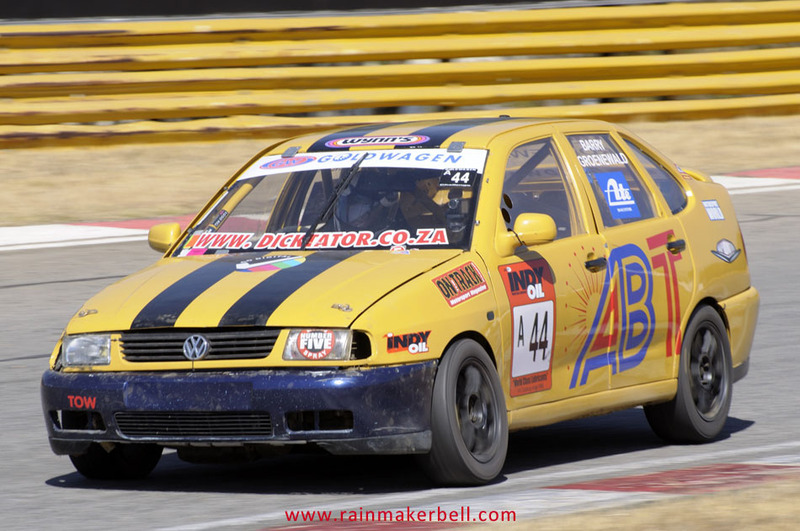 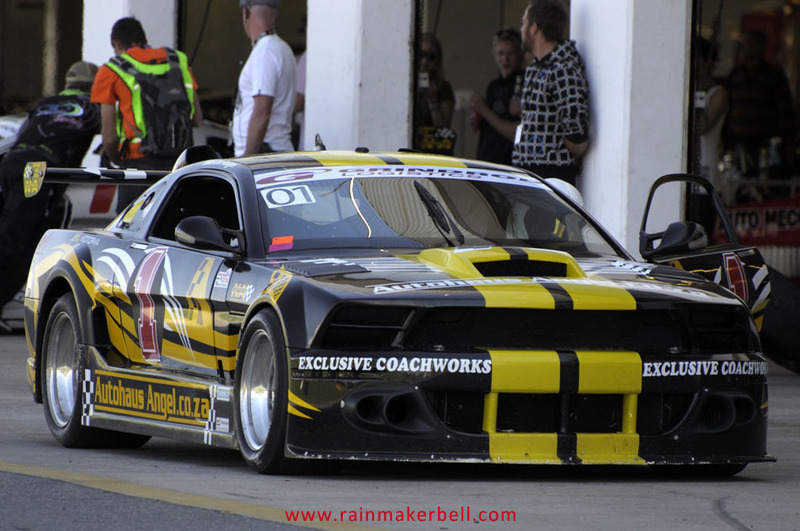 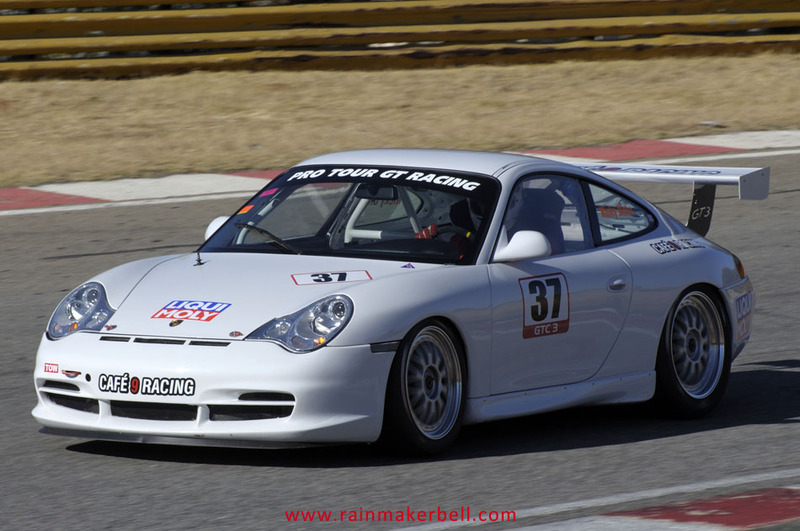 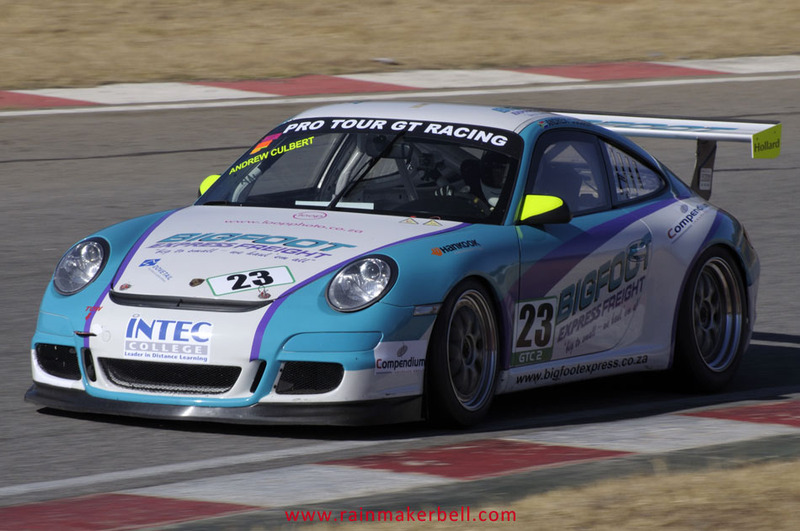 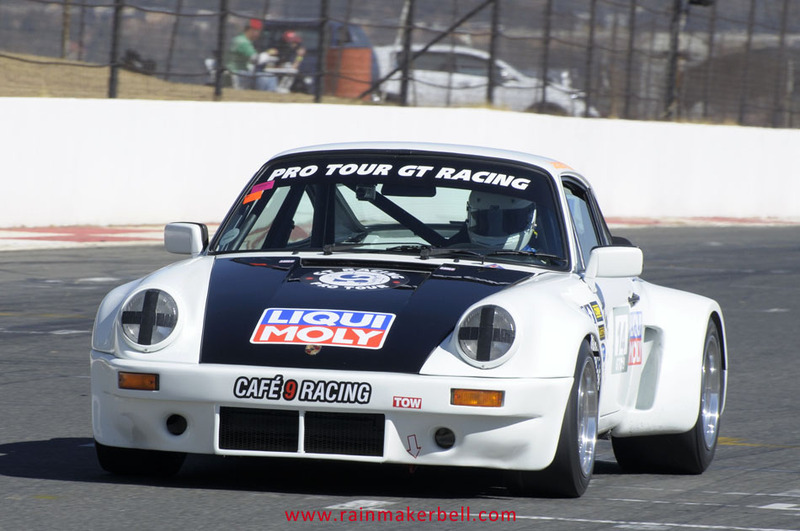 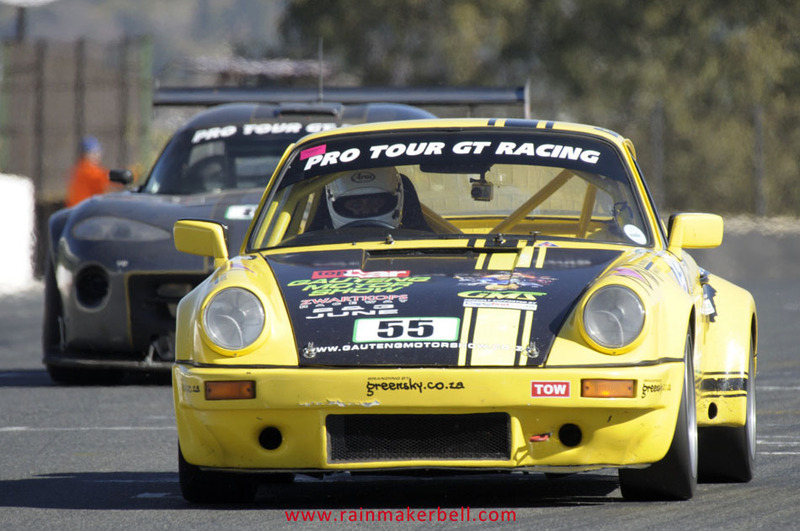 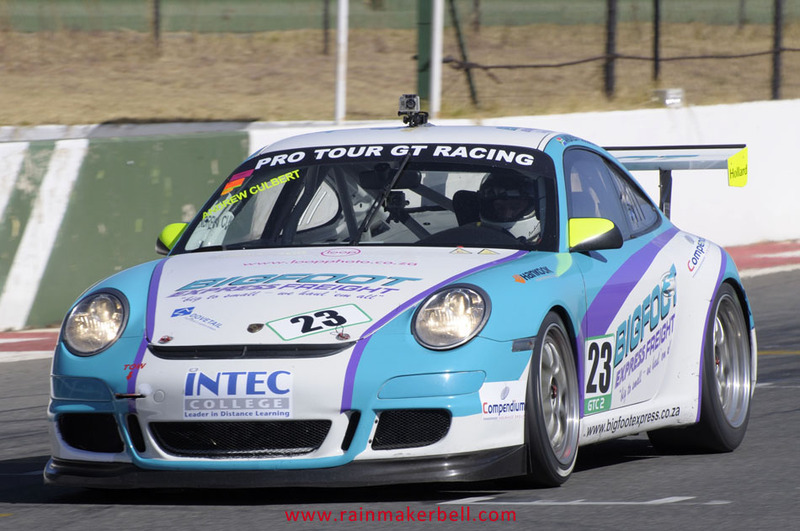 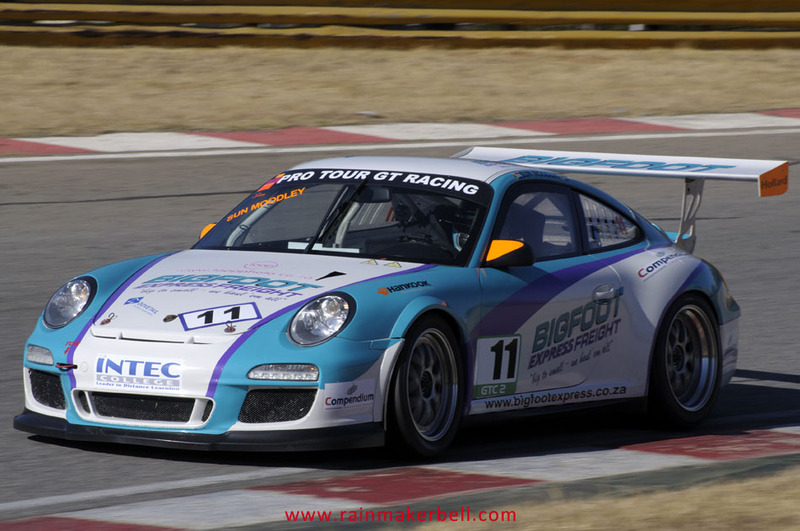 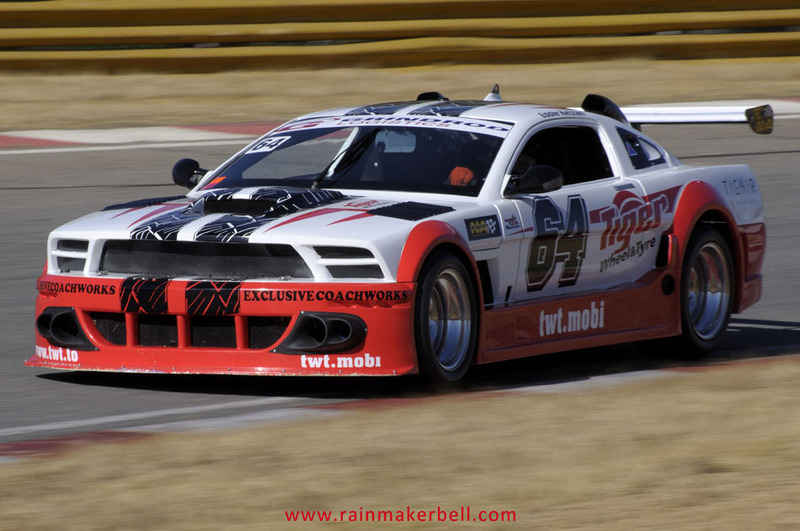 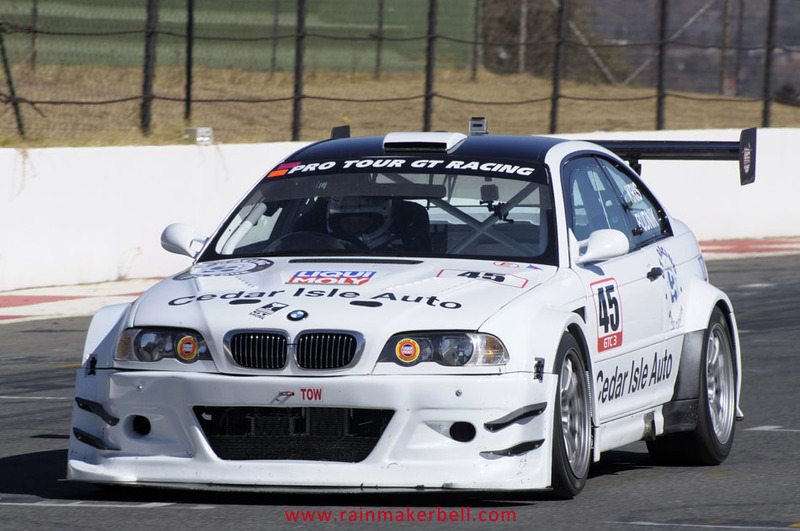 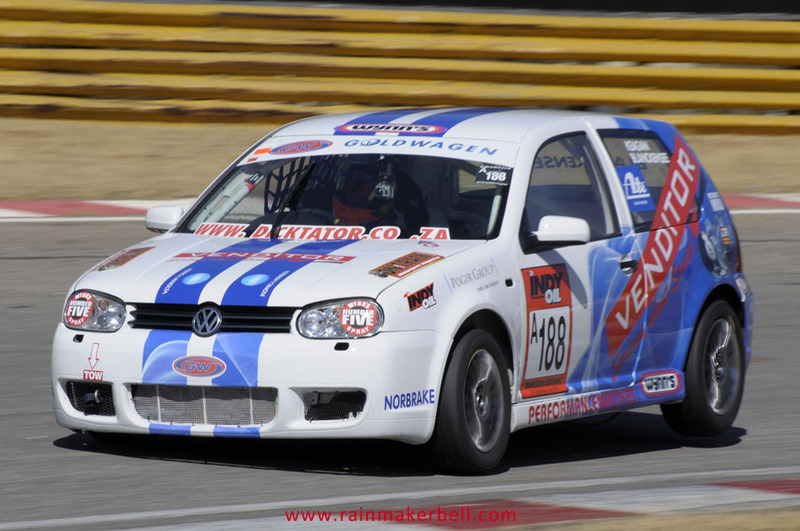 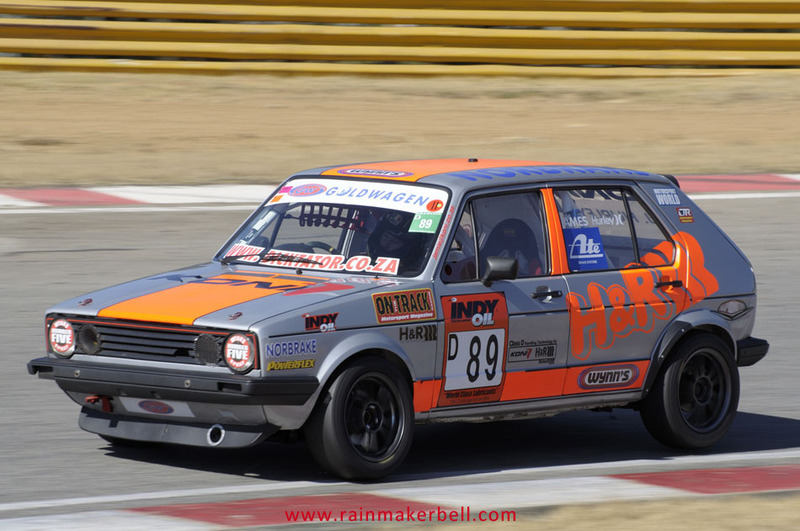 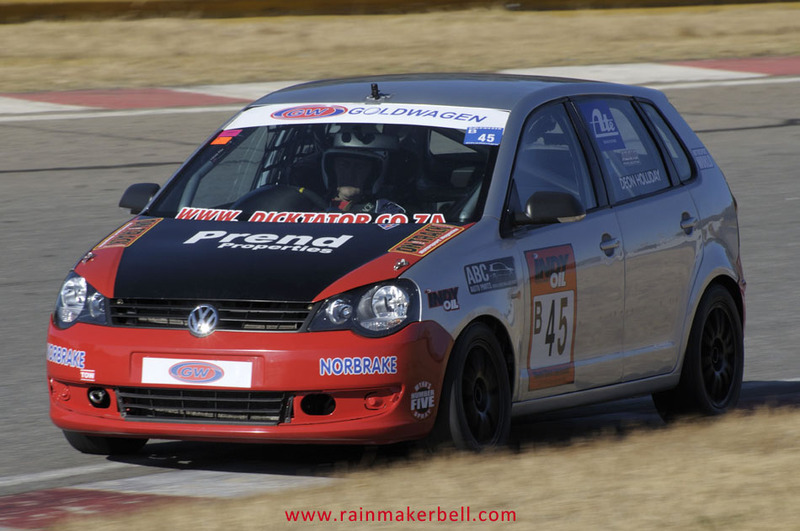 Grand Wizard, Toby Venter #9, competing in the action filled GT Challenge series, did it again. 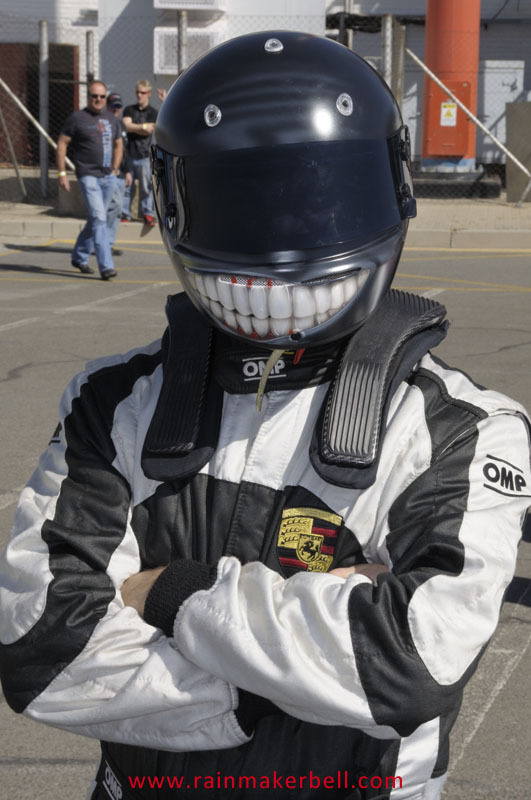 Well, actually twice on Saturday. 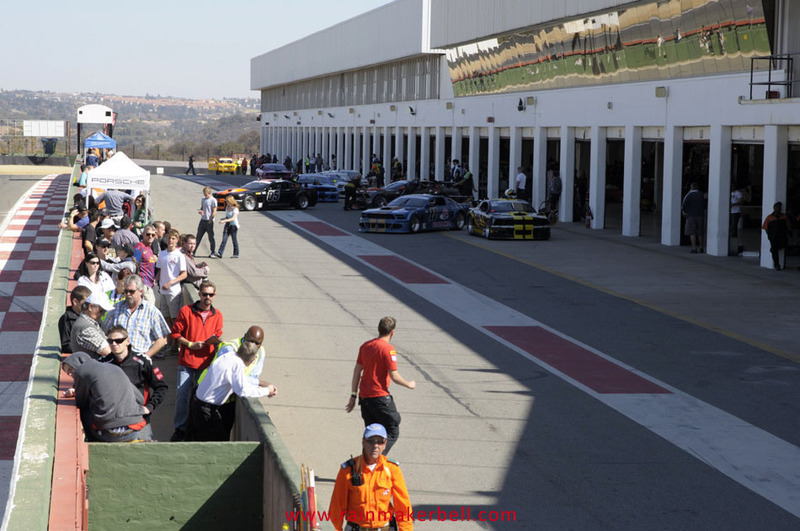 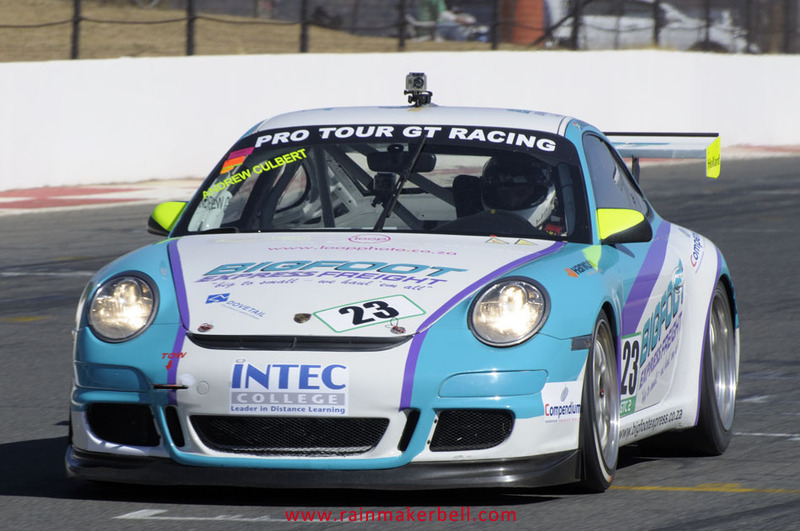 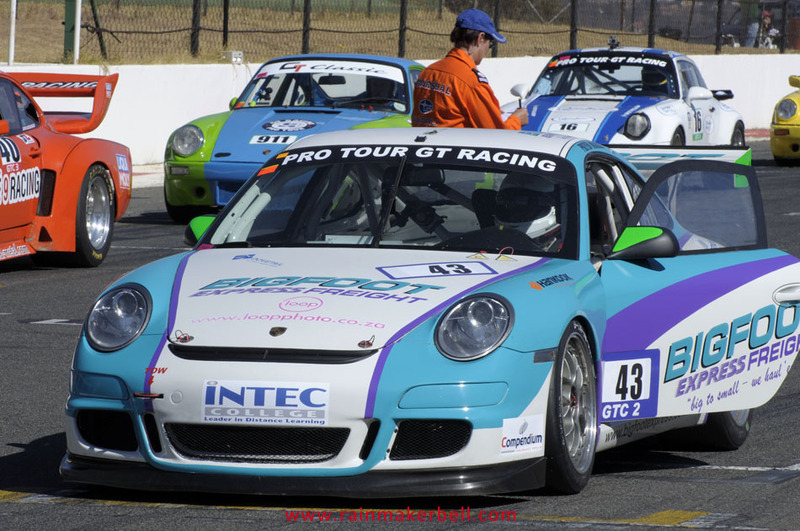 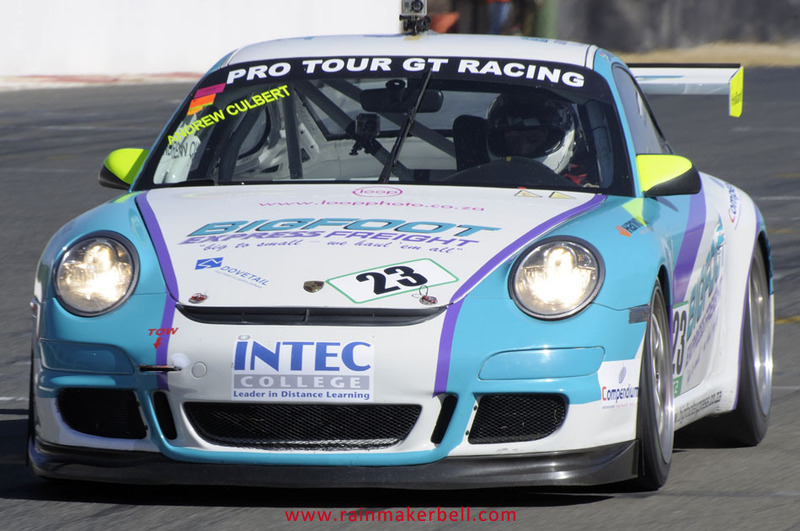 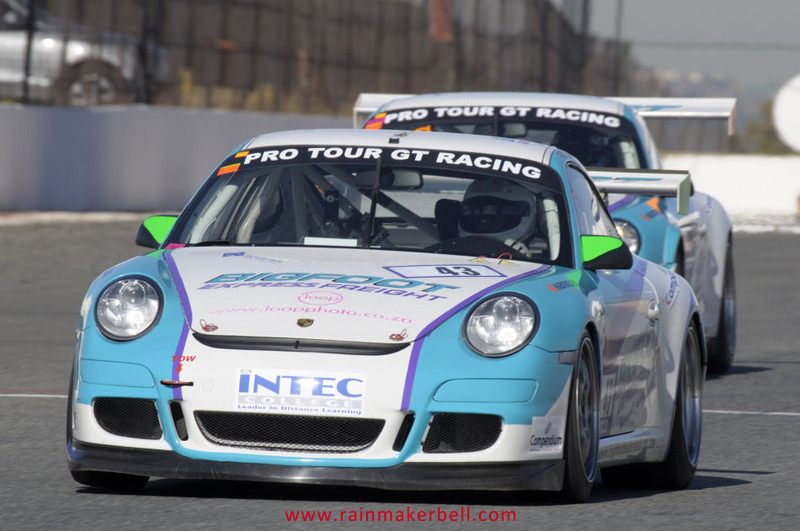 The lightning-bolt-injected Porsche GT3 Cup did some impressive lap times around the 4.24km Kyalami race circuit: 1:44.888 (race one) and 1:46.711 (race two). 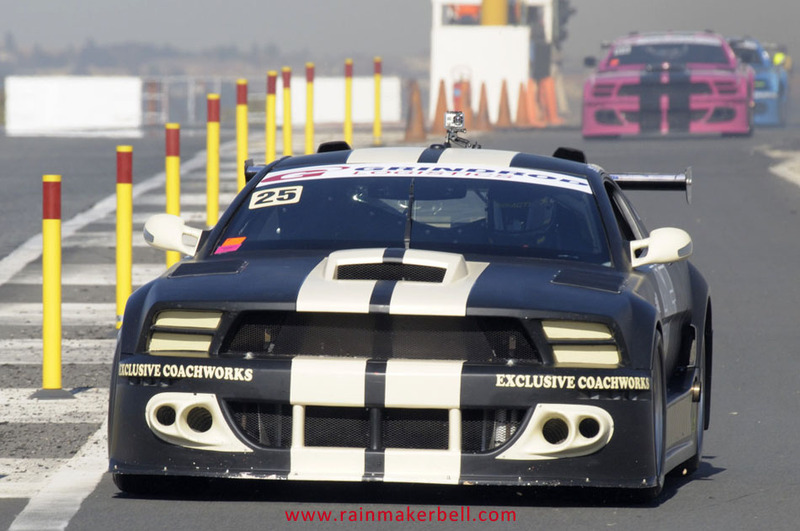 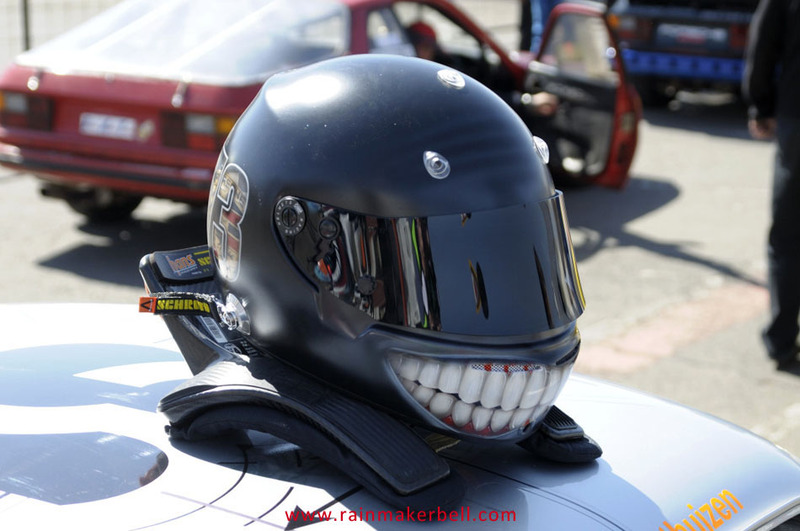 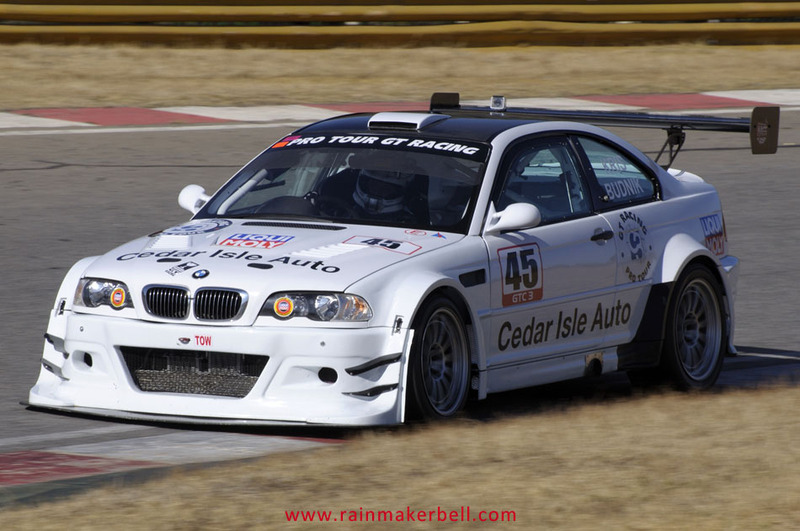 Making sure that some of the competitors see him more than once in their rear view mirrors—frightening. 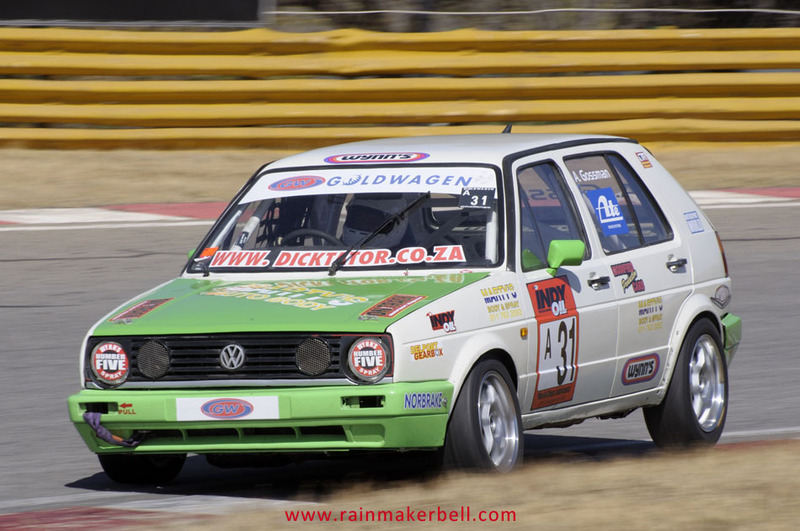 Cutting grass in his Golf 1, just out of turn two. 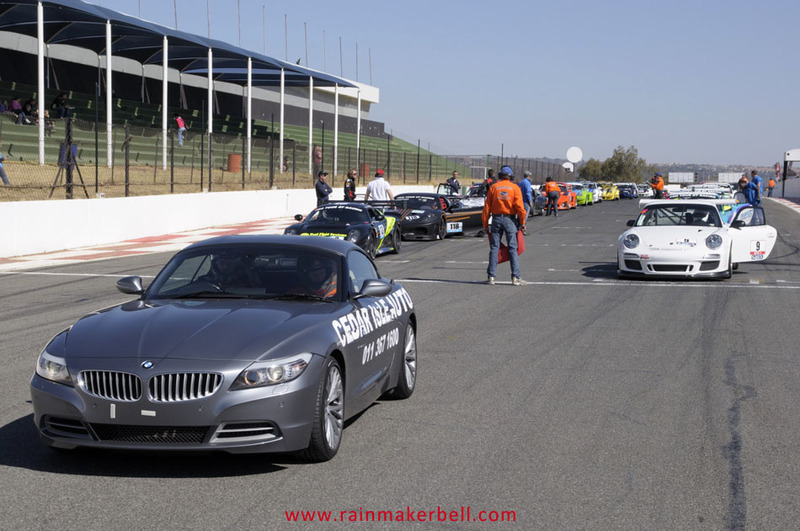 After his diligent effort, Kyalami National Park (by the looks of it) is now in a much better state—thank you!